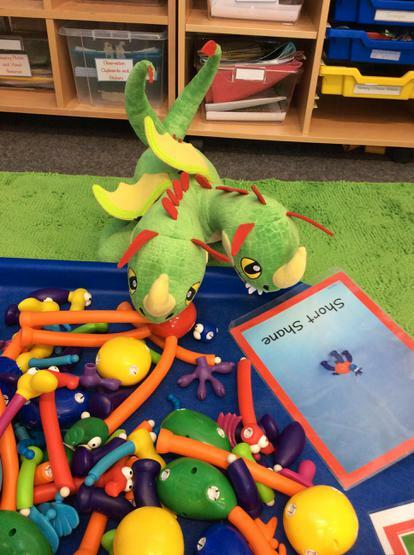 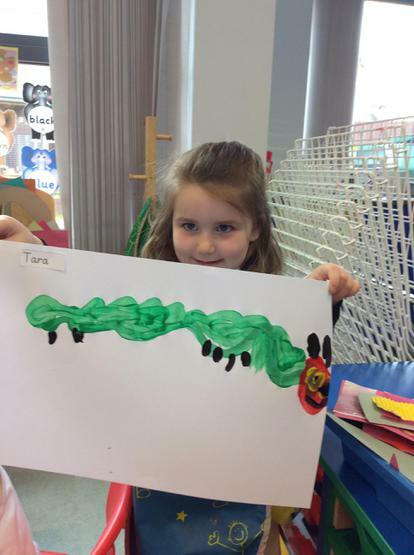 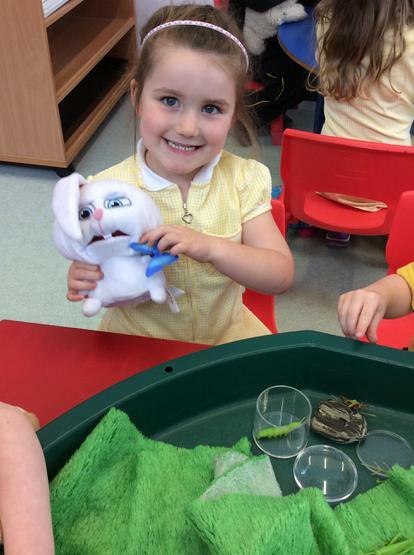 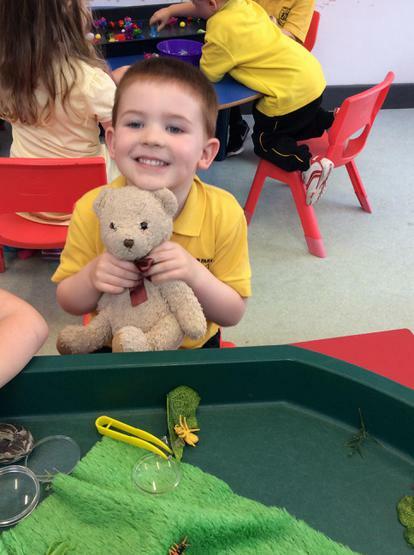 Throughout the months of April and May we will be exploring the really exciting topics of Minibeasts and Teddy Bears! 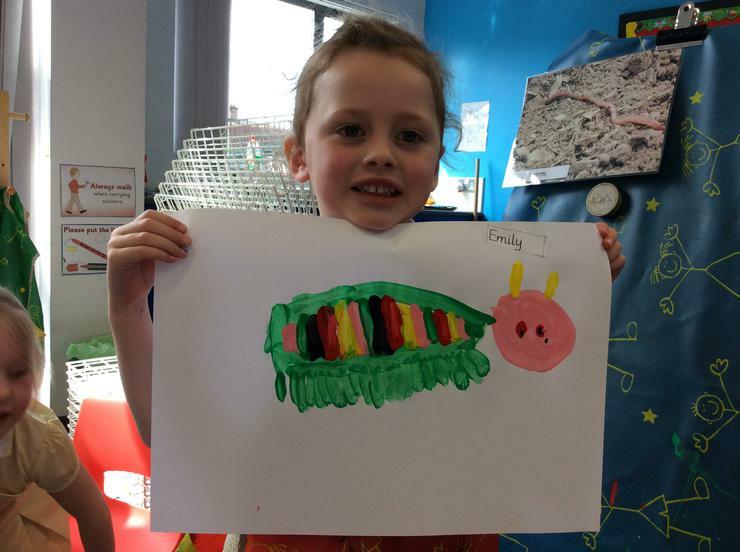 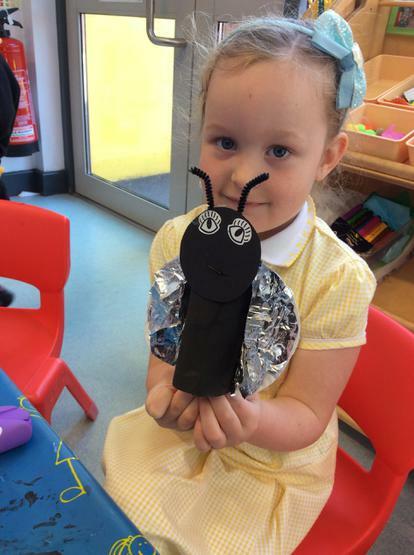 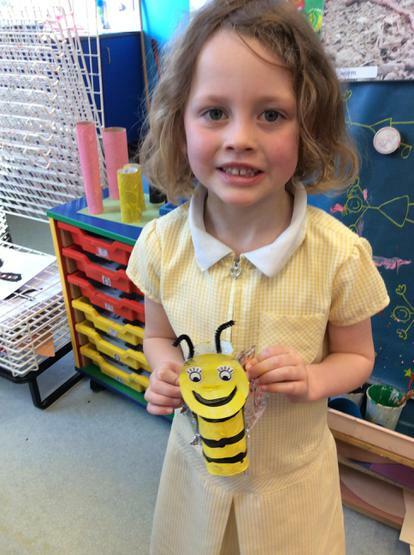 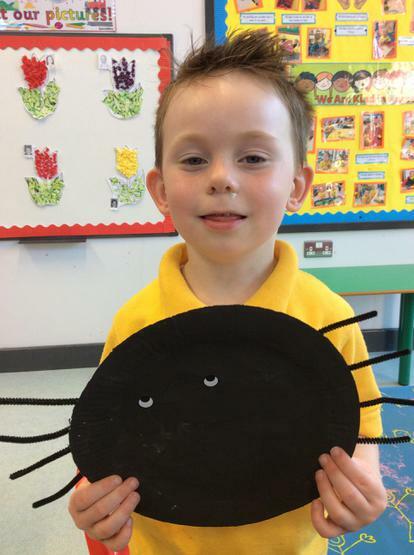 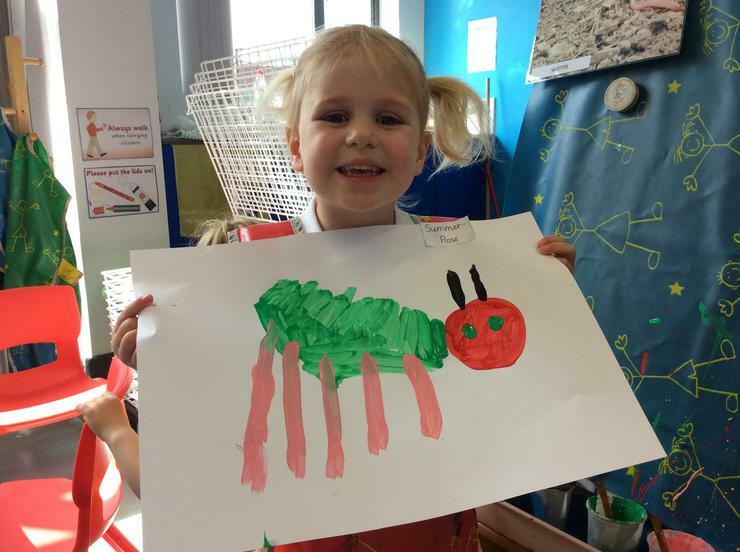 We will visit W5 in Belfast to take part in a 'Build a Bug' workshop as part of our topic (see photos in Educational Visits section). 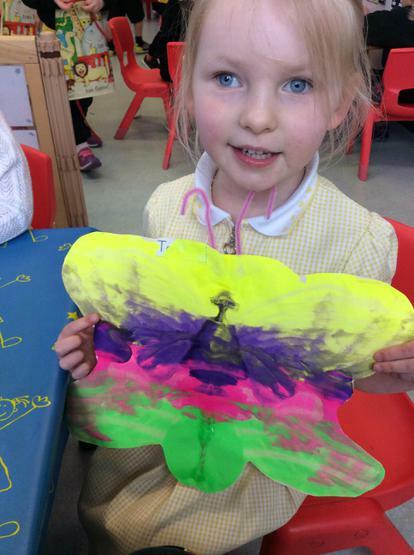 Additionally we will further explore signs of Spring and look forward to glimpses of Summer! 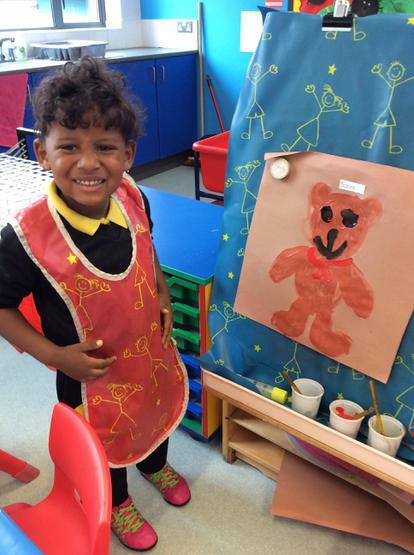 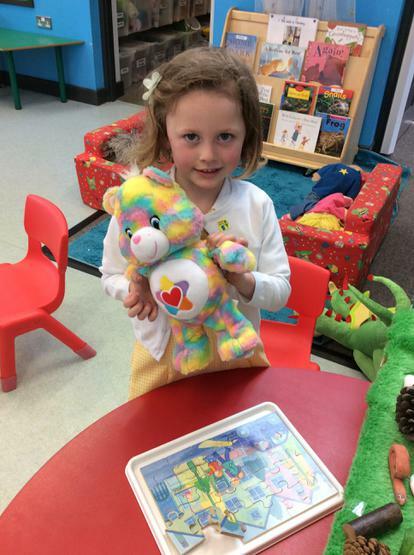 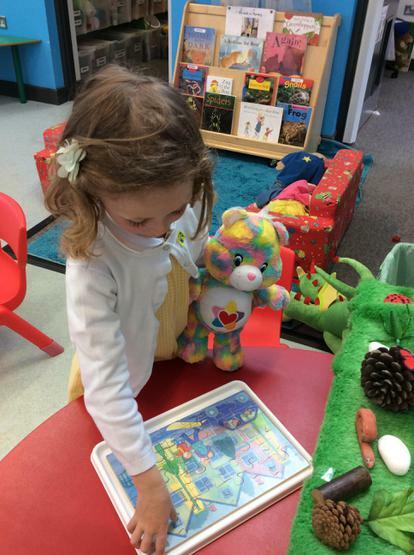 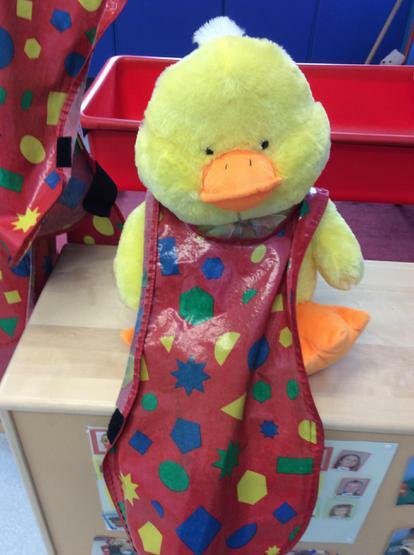 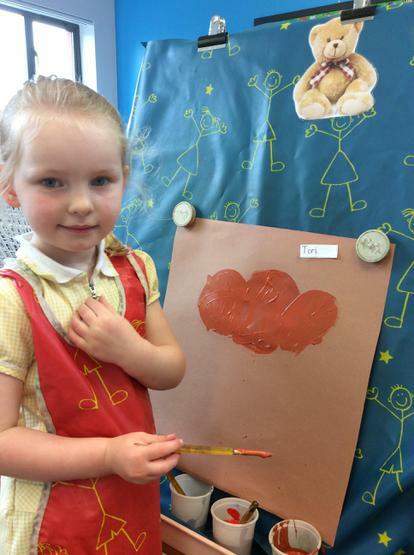 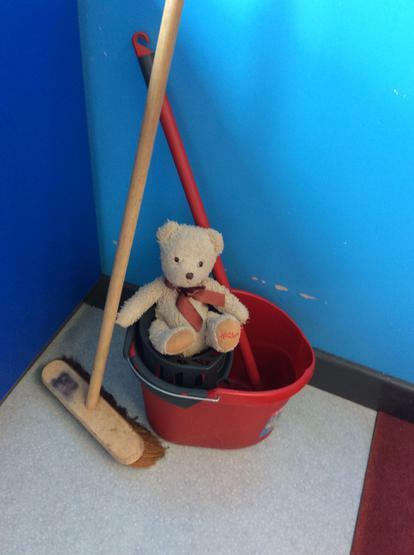 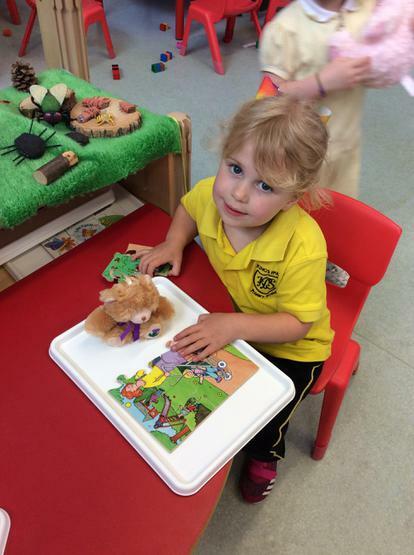 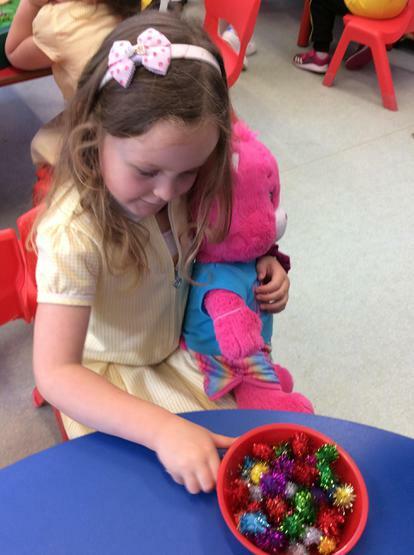 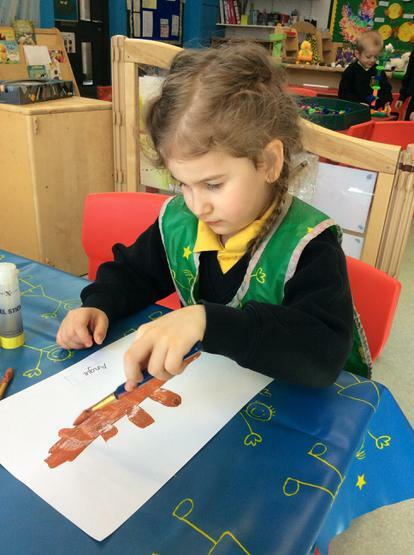 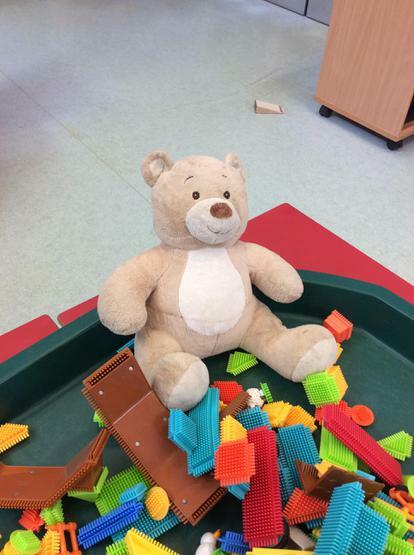 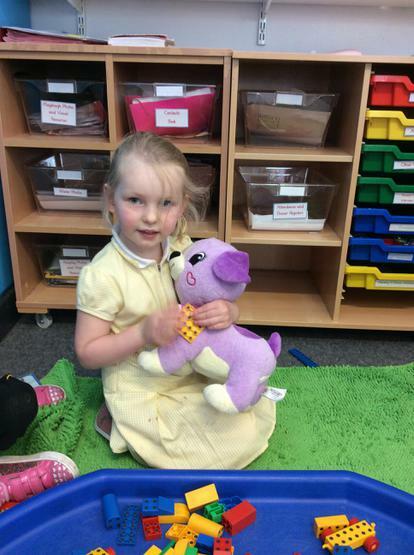 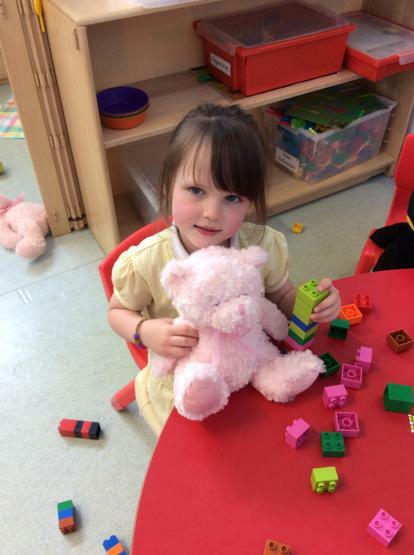 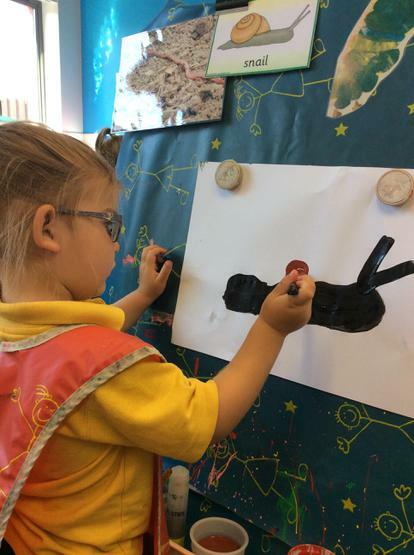 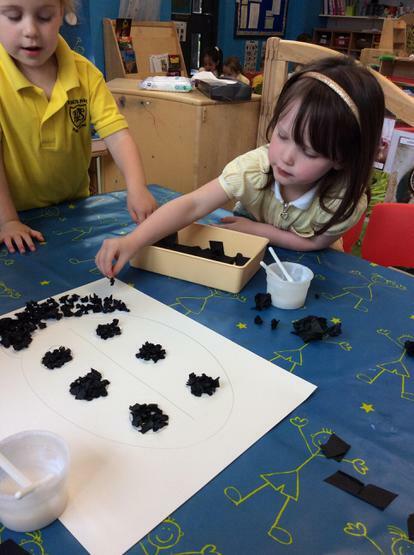 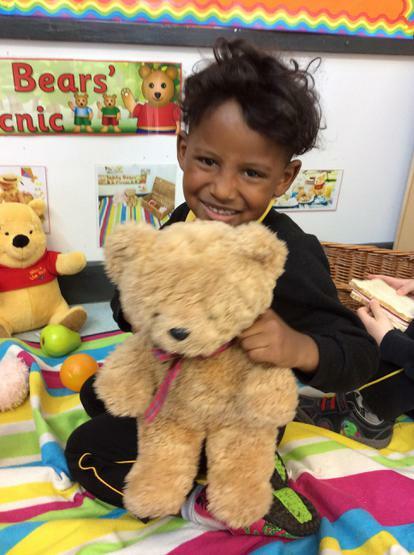 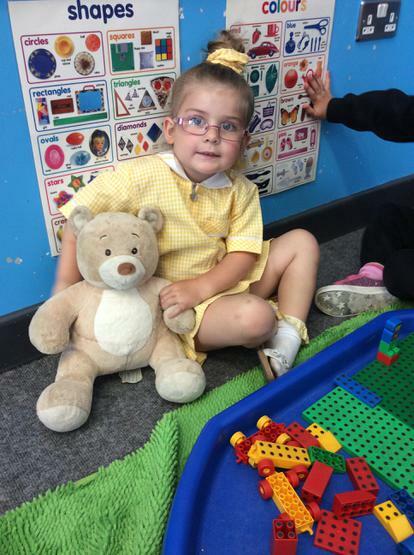 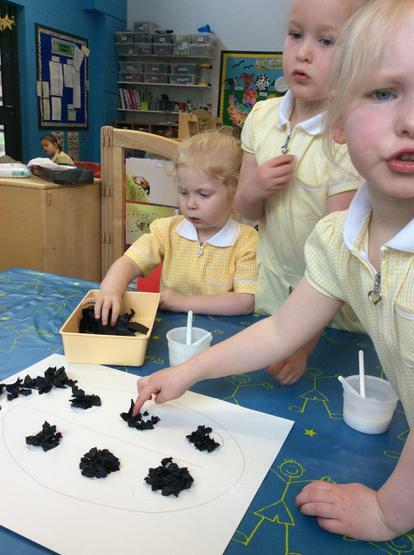 Teddy bears come to Nursery! 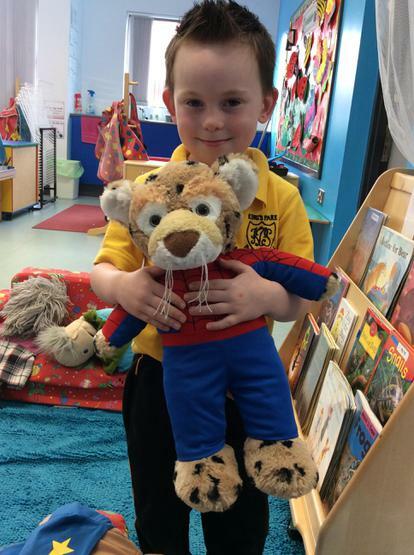 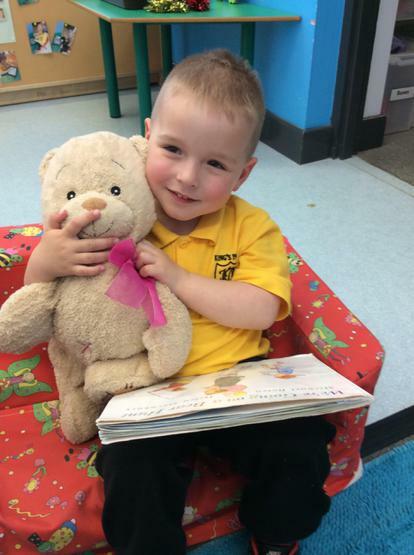 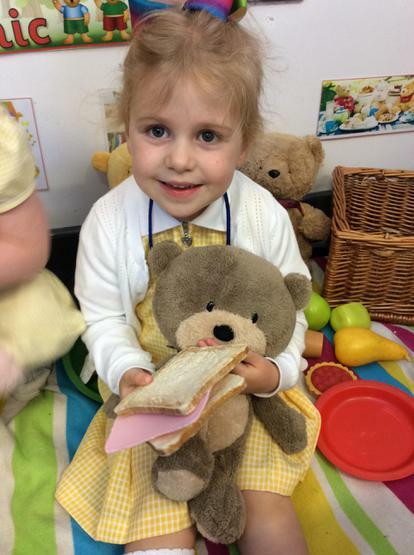 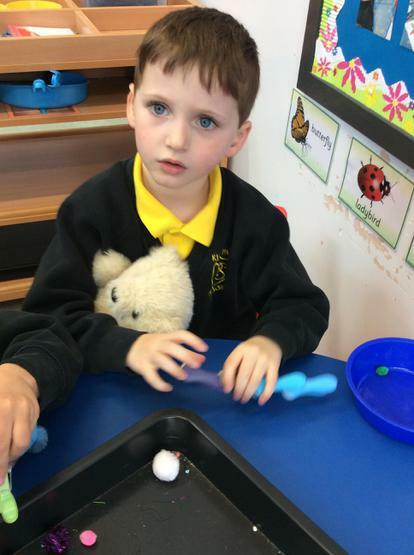 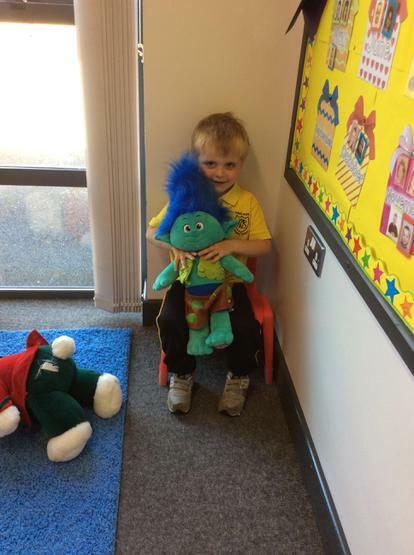 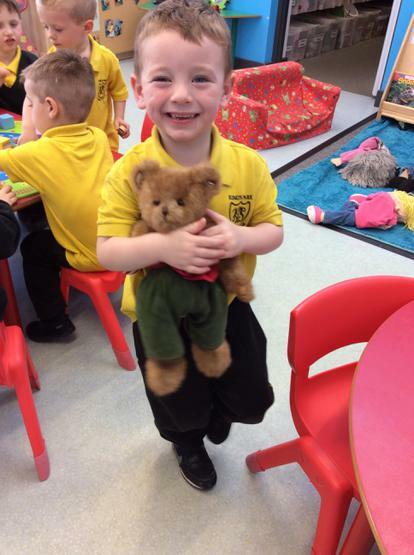 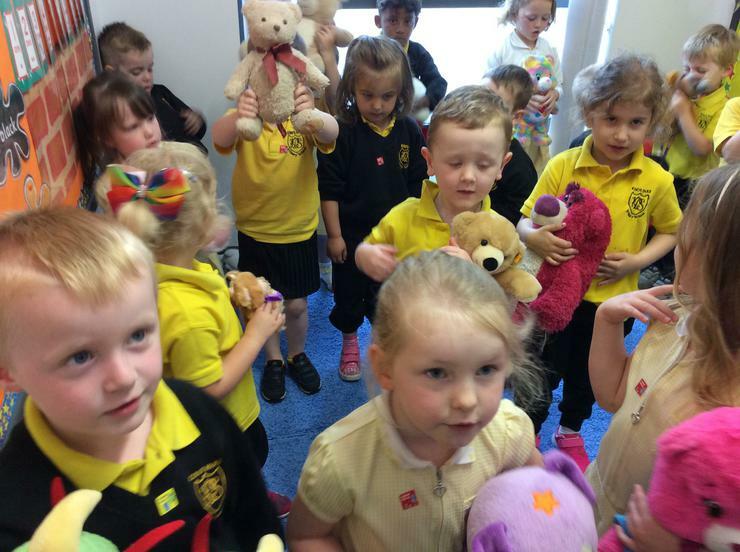 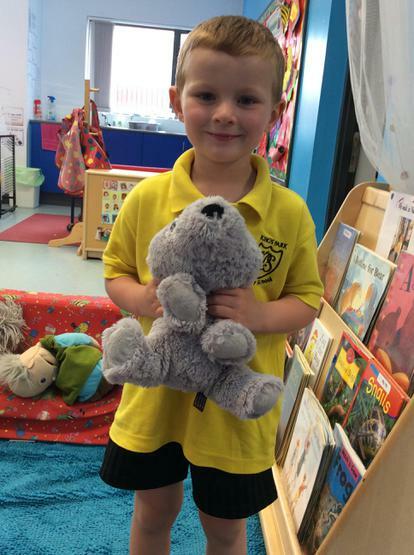 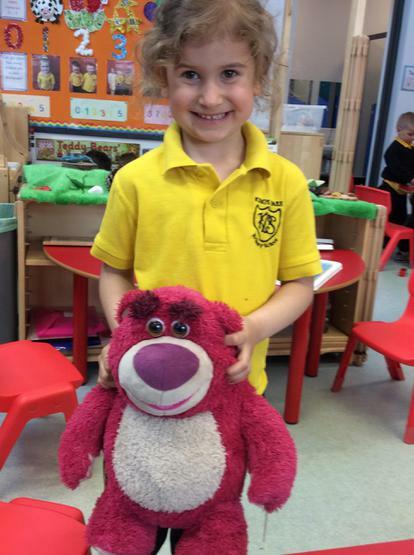 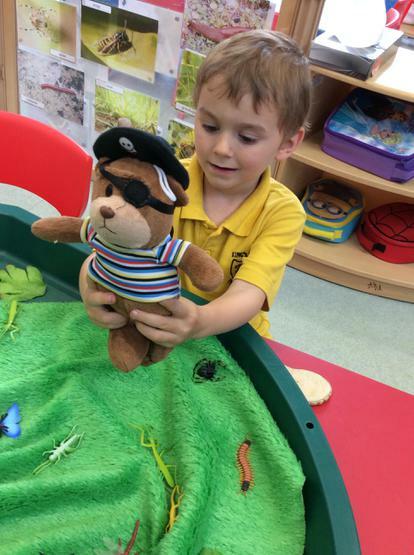 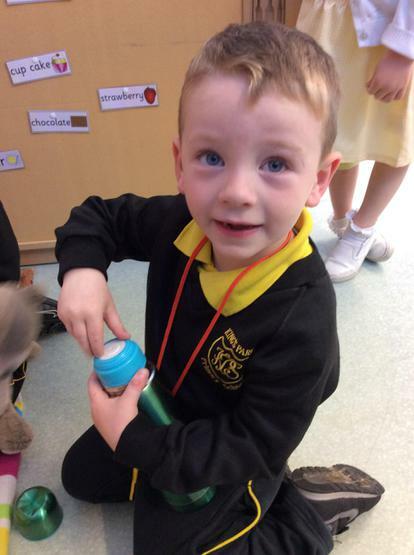 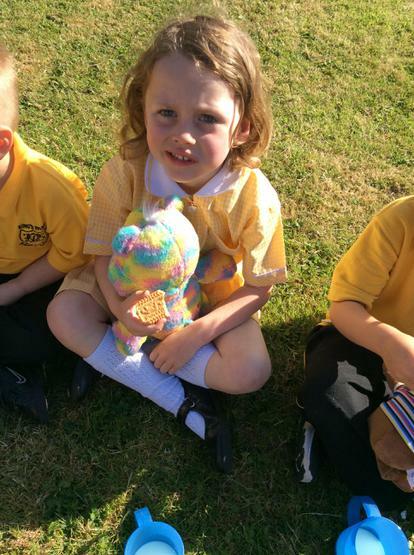 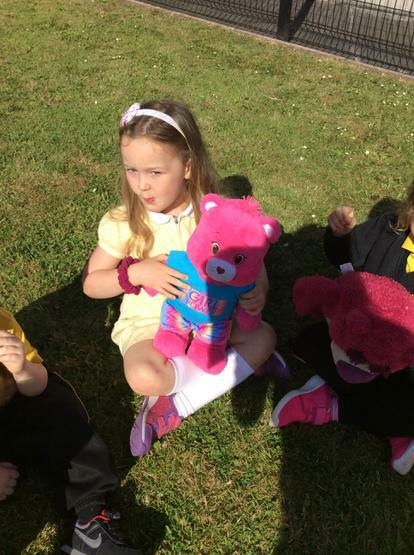 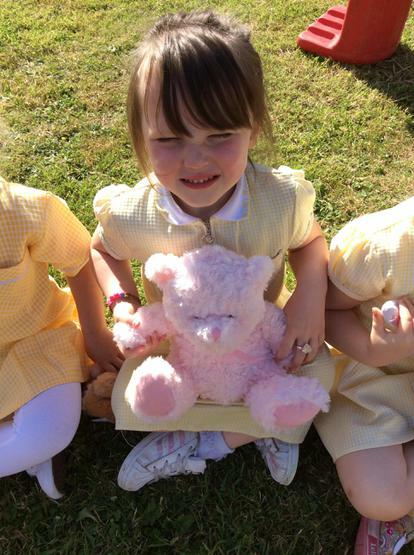 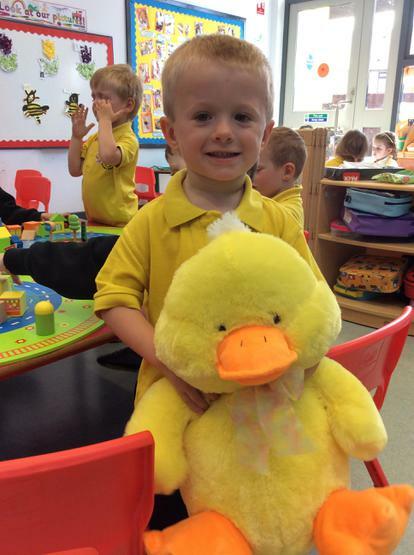 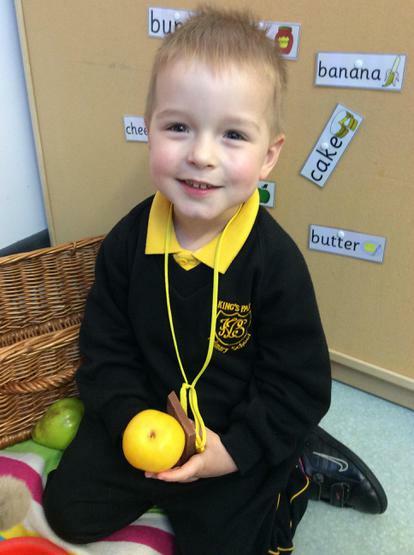 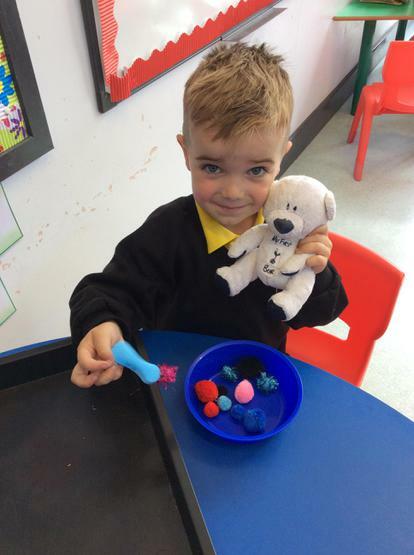 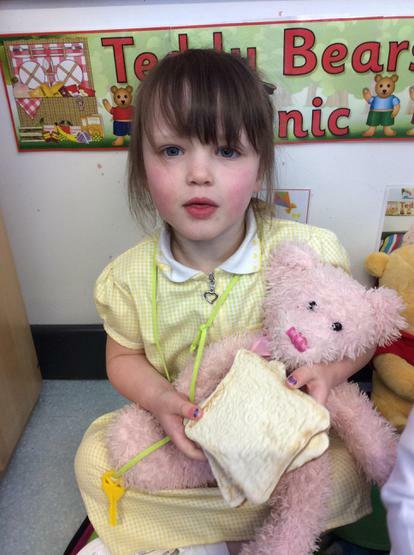 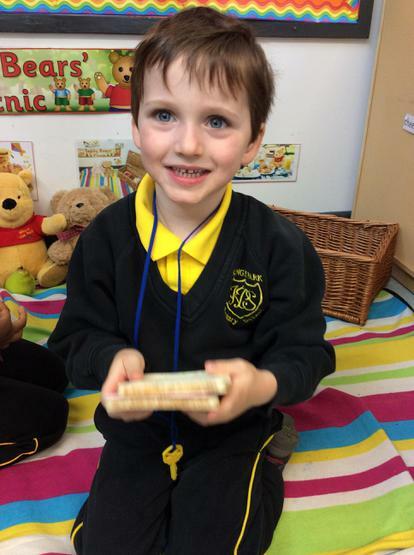 We all enjoyed bringing our teddy bears to Nursery last week! 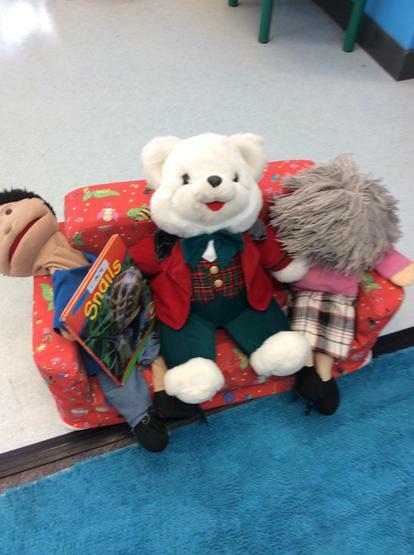 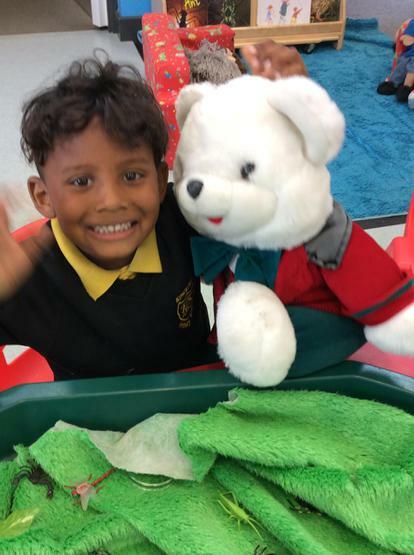 We introduced our teddy bears to our friends during Community Time, played with them in our classroom and even sang action songs and rhymes with them! 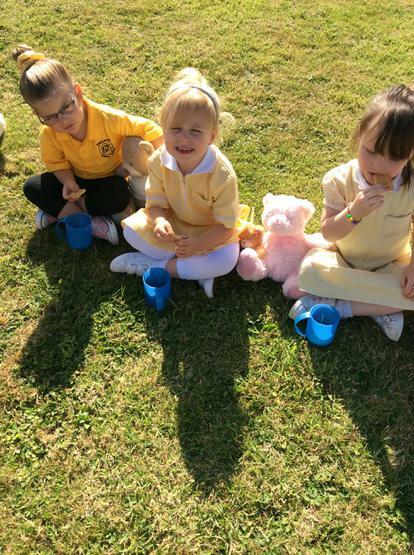 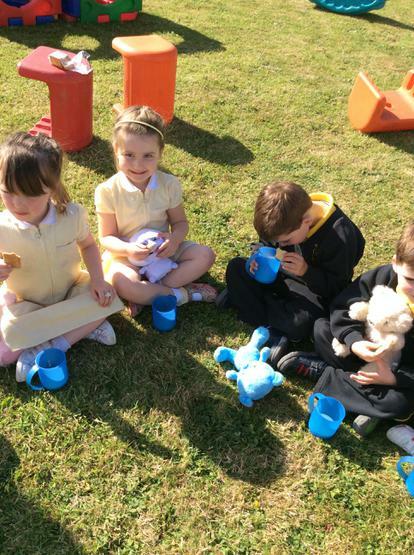 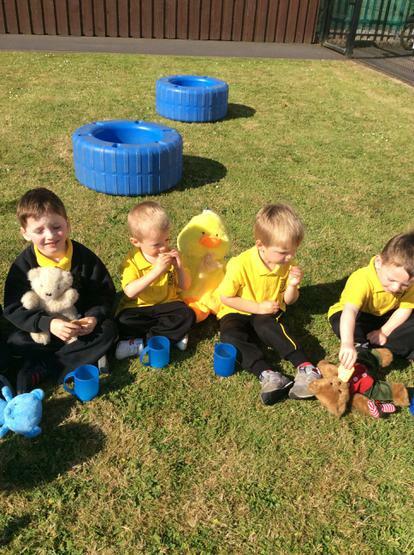 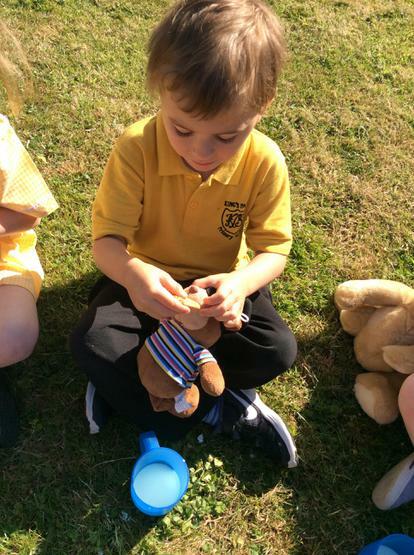 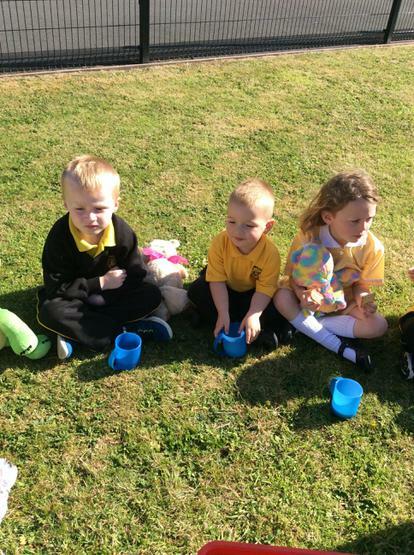 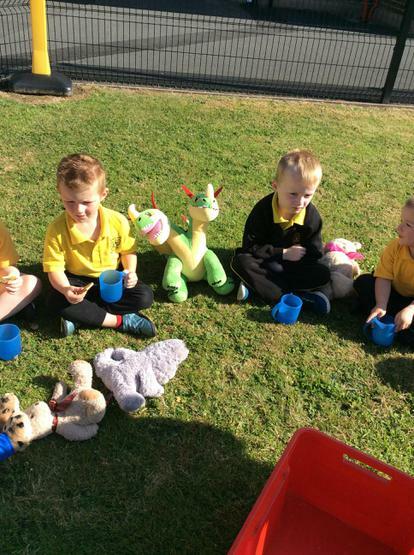 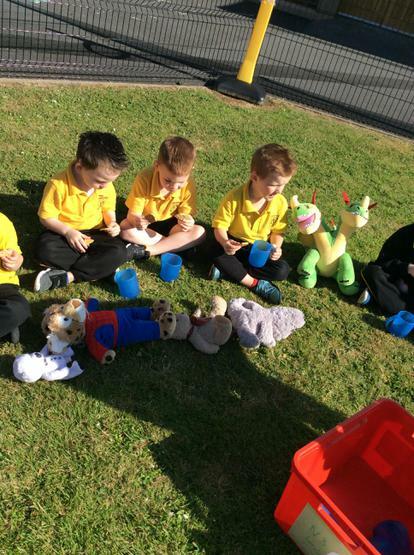 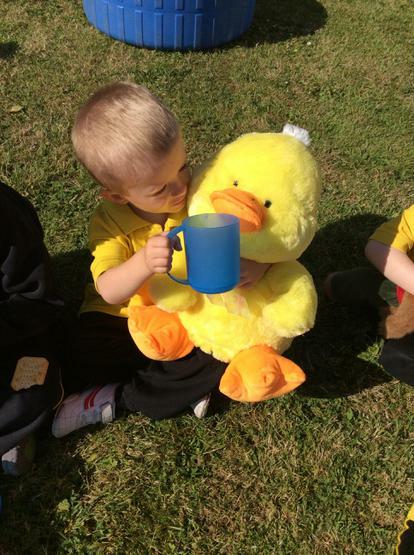 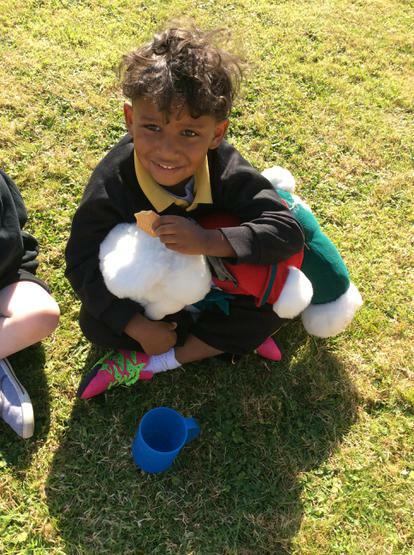 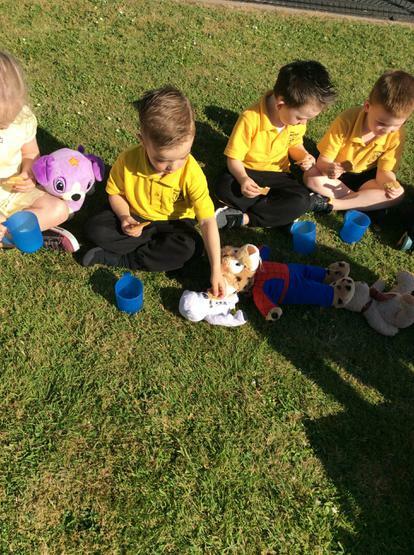 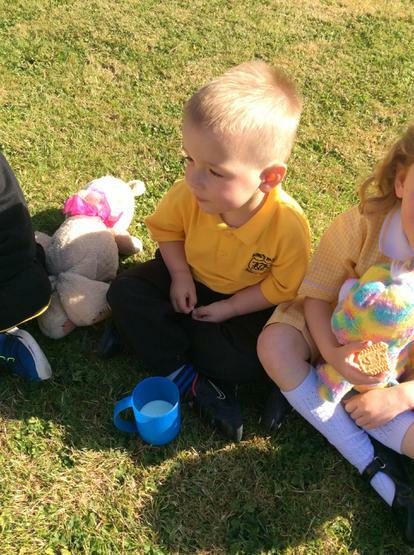 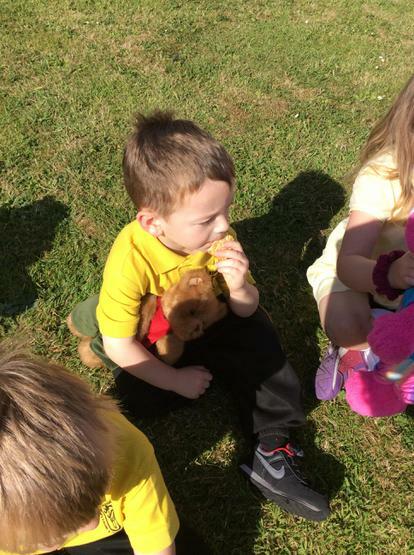 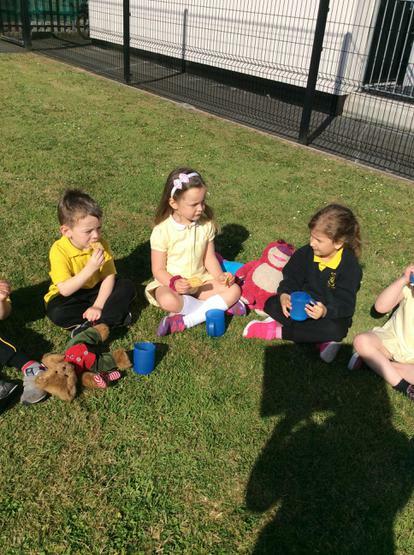 We also enjoyed a delicious teddy bears picnic with them outdoors! 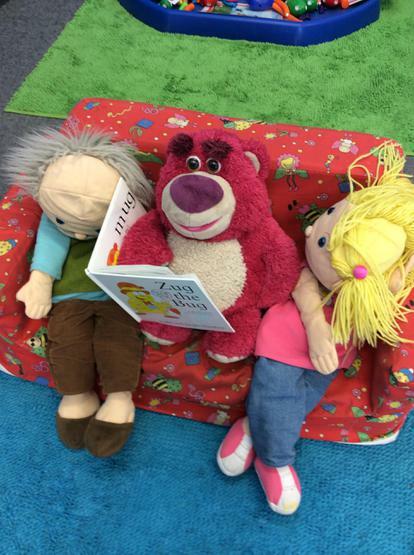 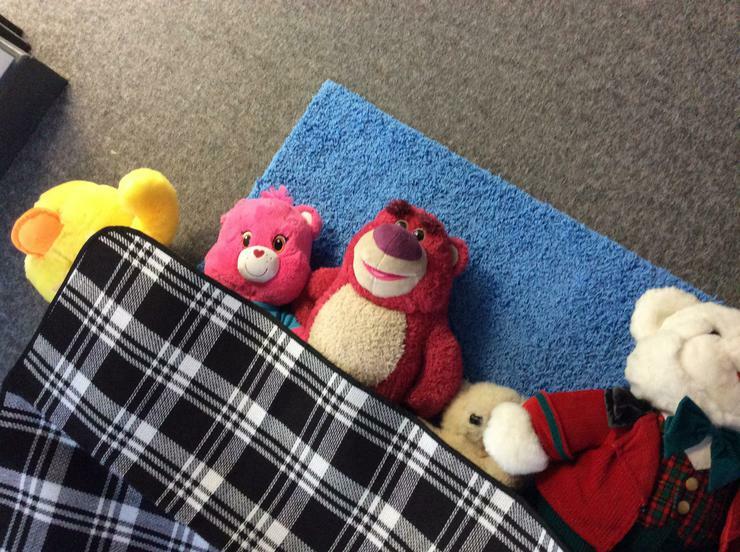 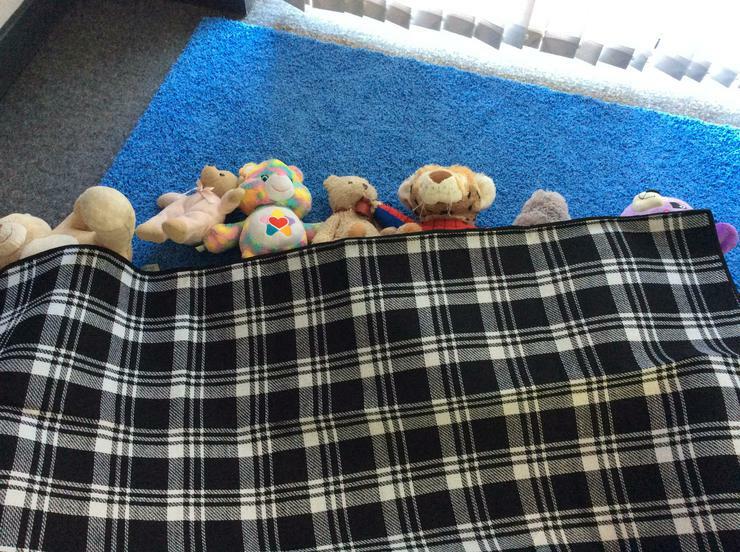 Our teddy bears had a special teddy bear sleepover in Nursery too! 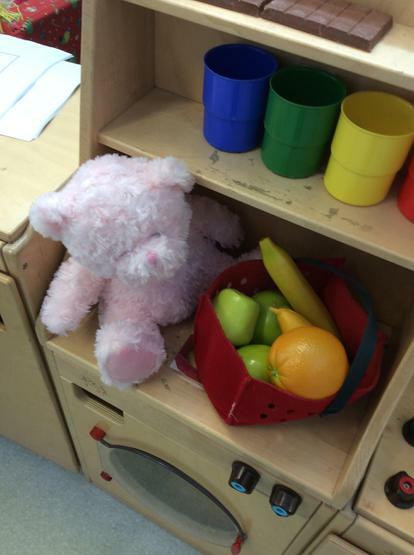 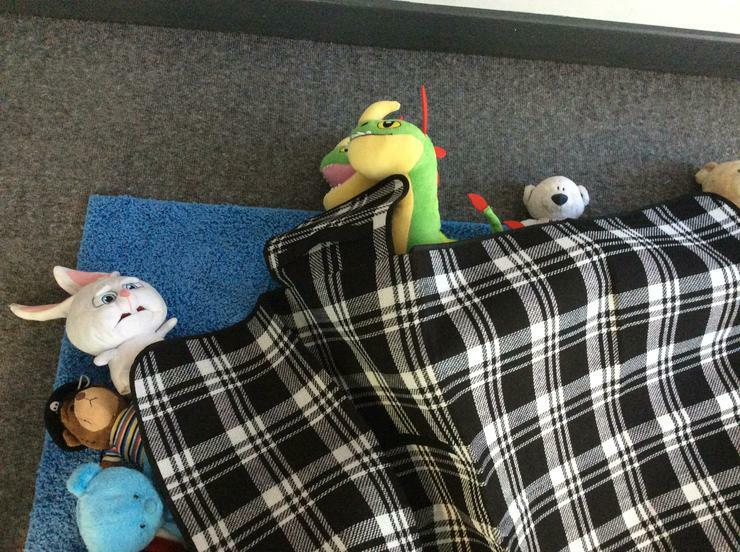 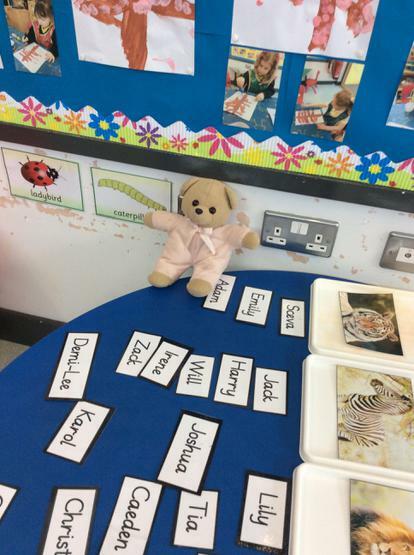 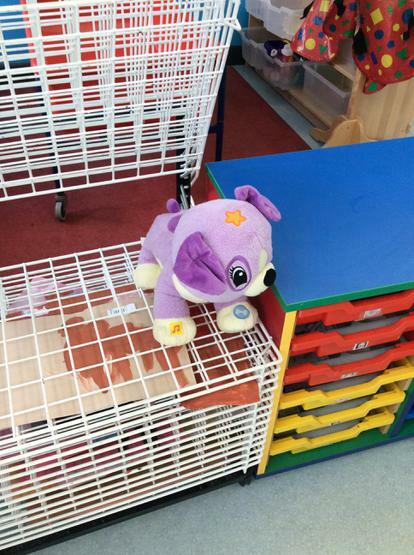 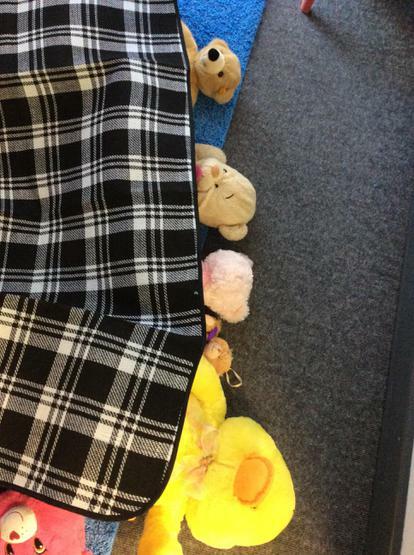 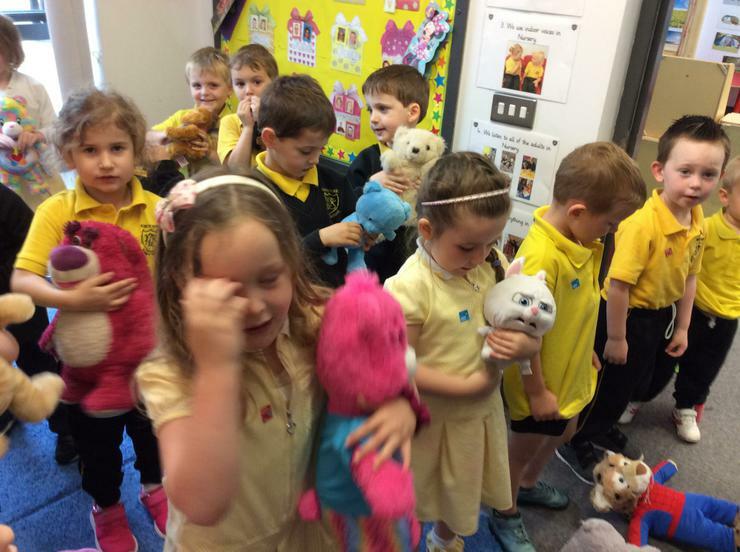 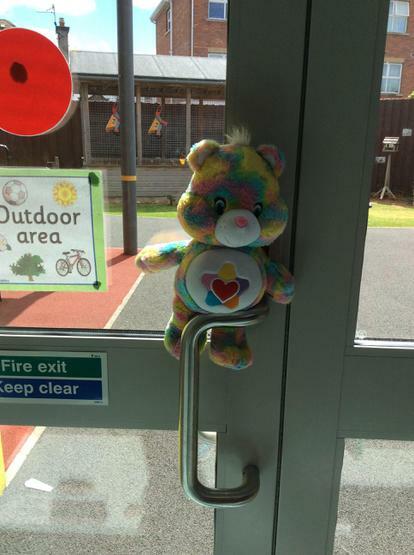 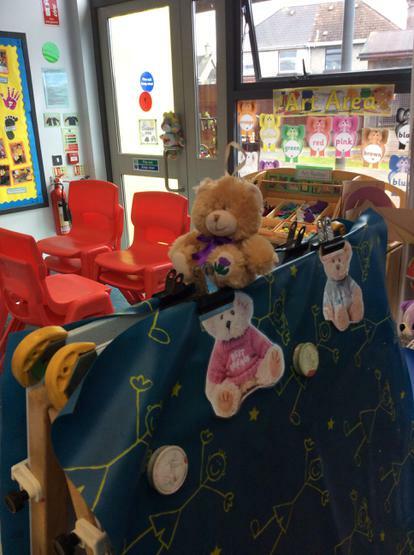 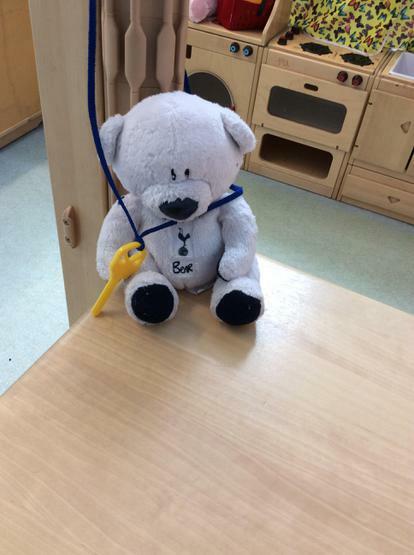 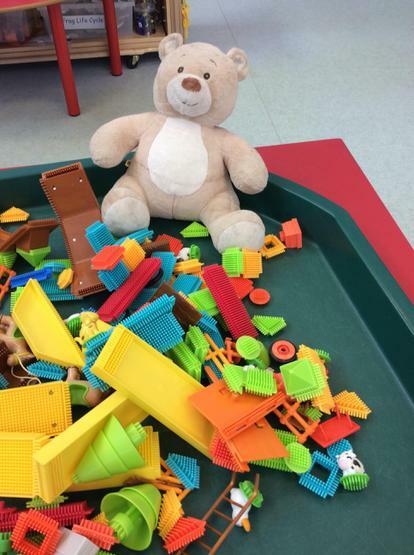 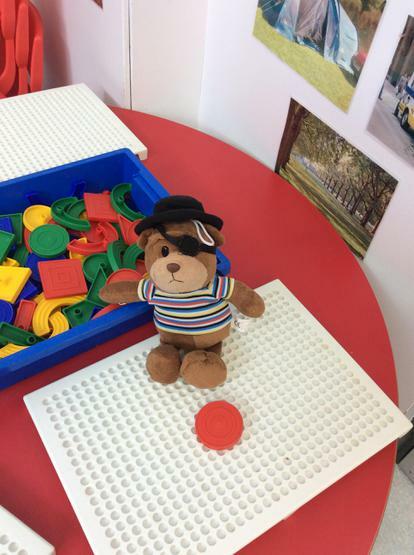 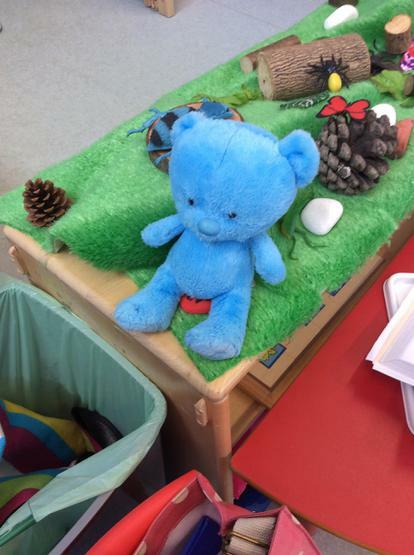 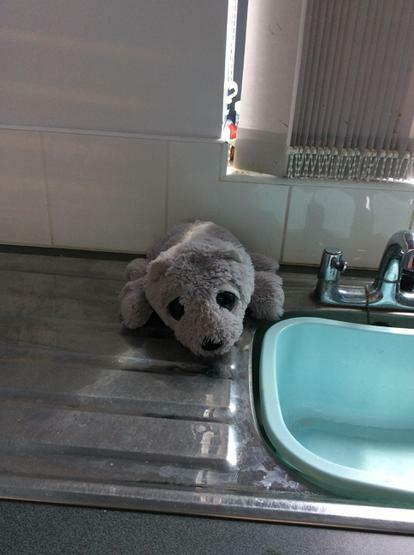 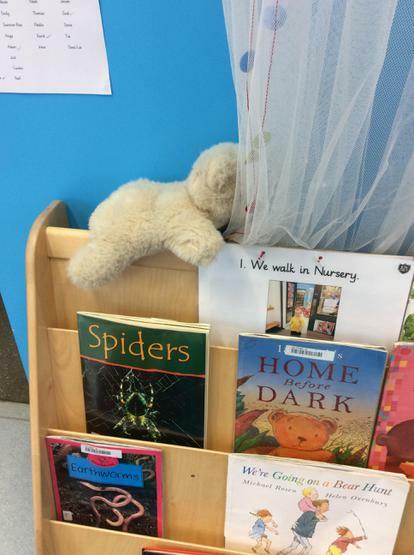 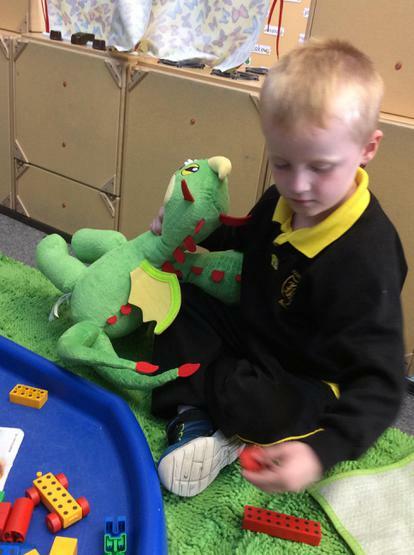 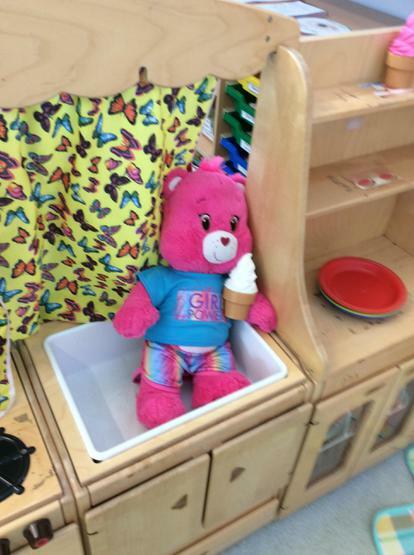 We made sure that they were all tucked under a special blanket in our quiet room before we went home, but the next morning we couldn't believe it... all of our teddy bears had moved around our Nursery classroom! 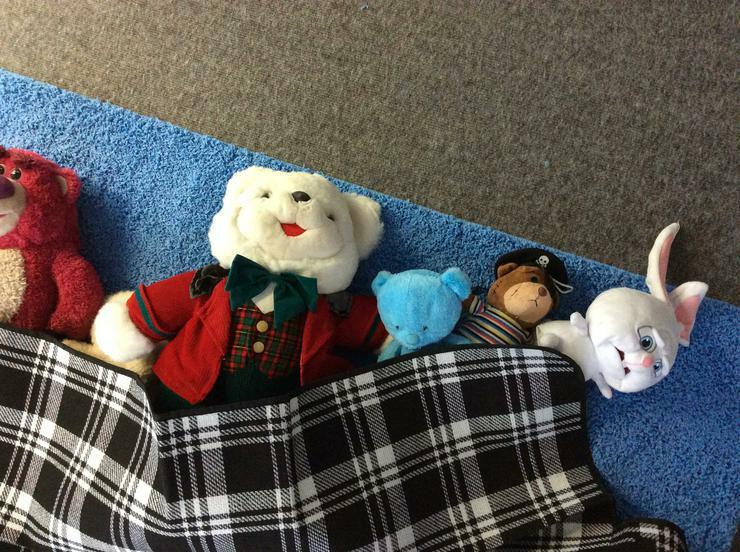 They must have had a party during their sleepover! 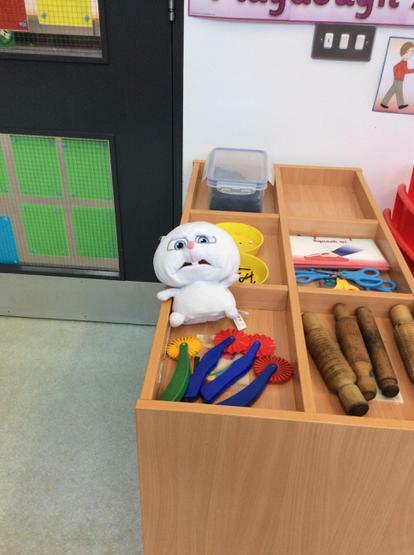 We all thought that this was so funny!! 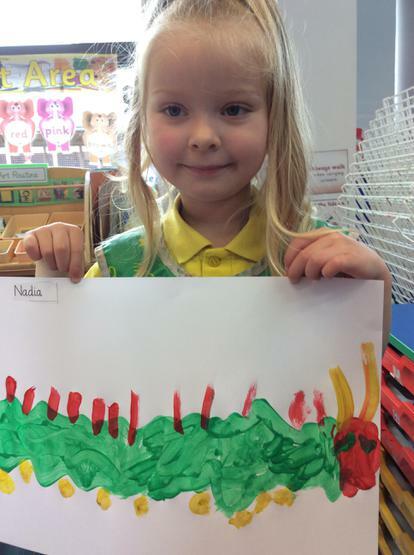 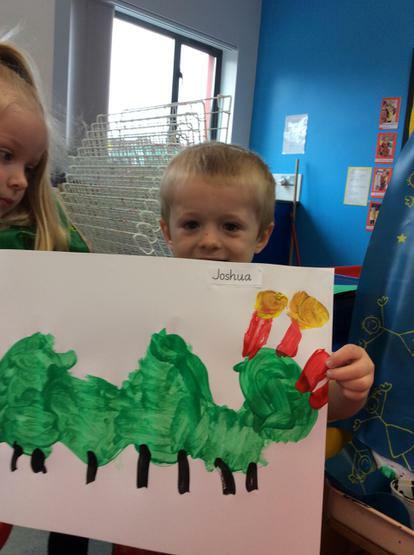 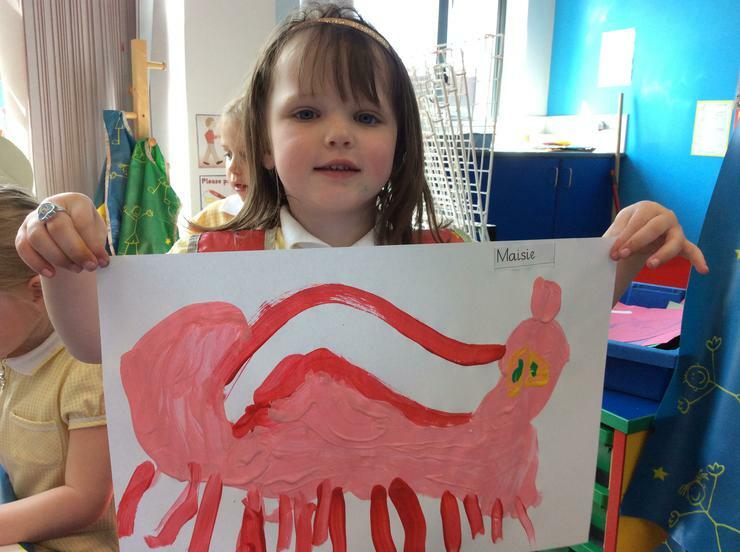 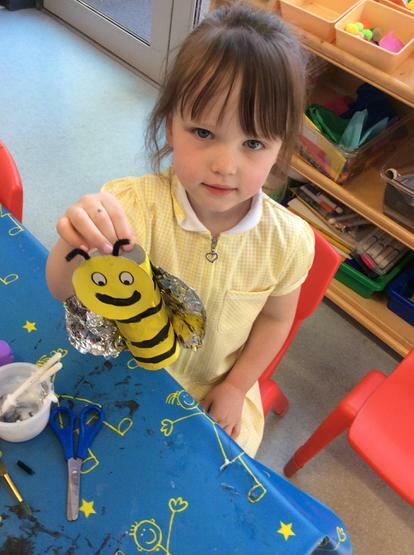 Look at our lovely minibeast gardens! 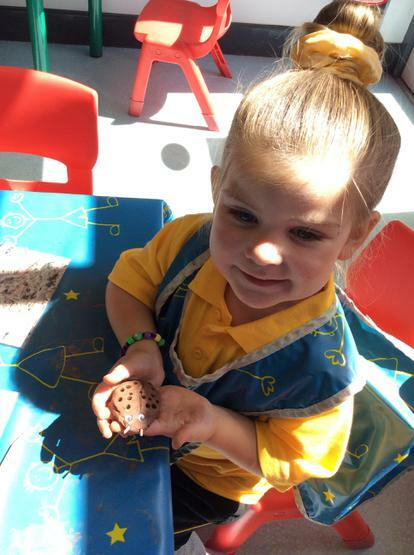 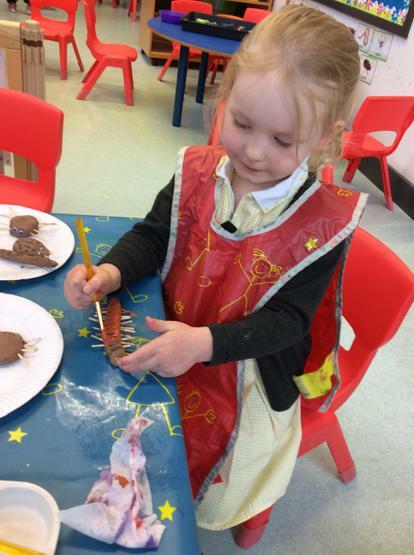 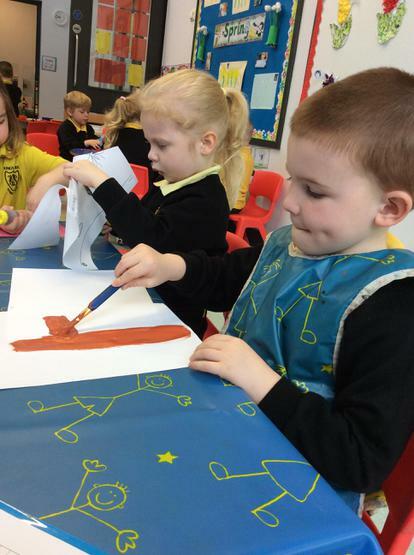 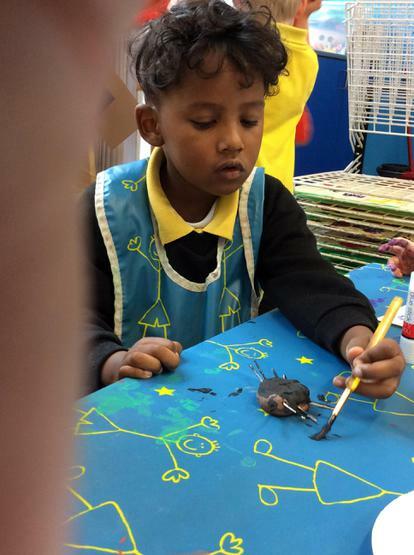 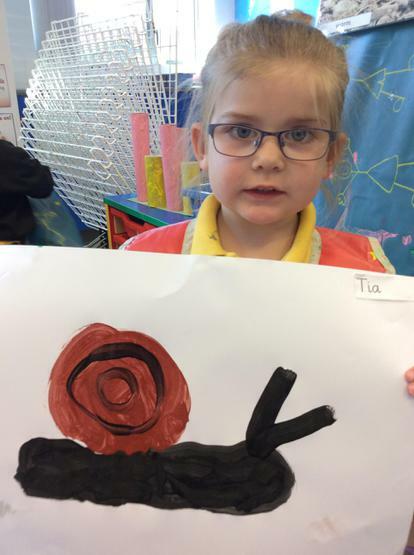 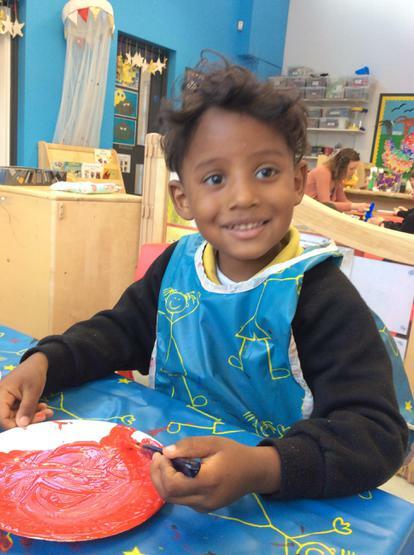 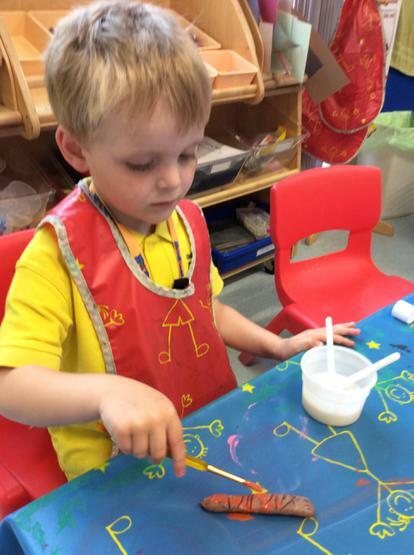 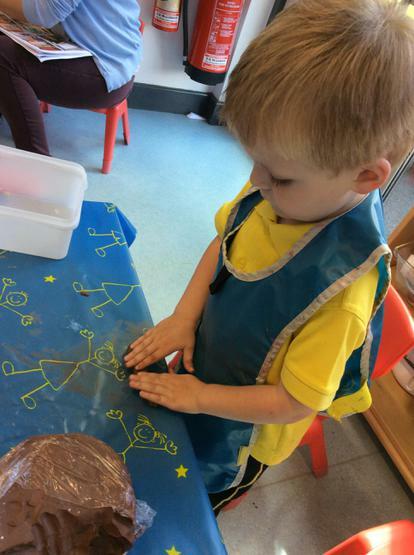 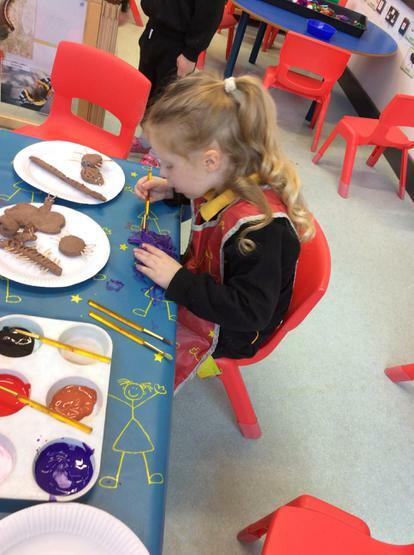 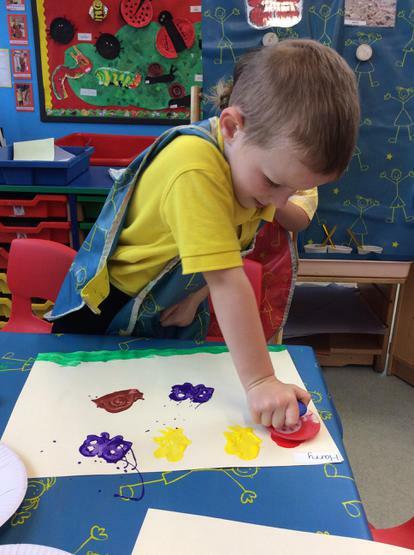 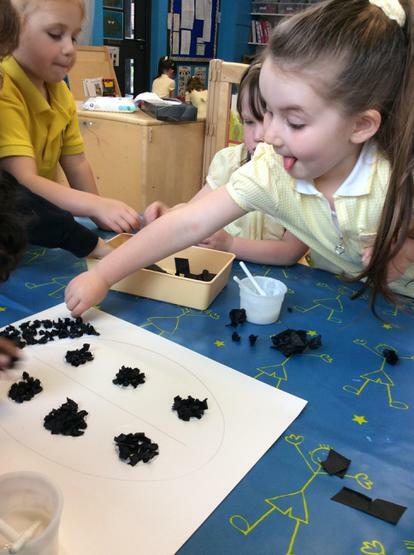 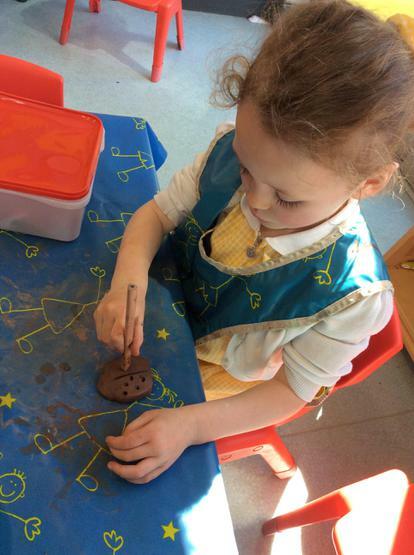 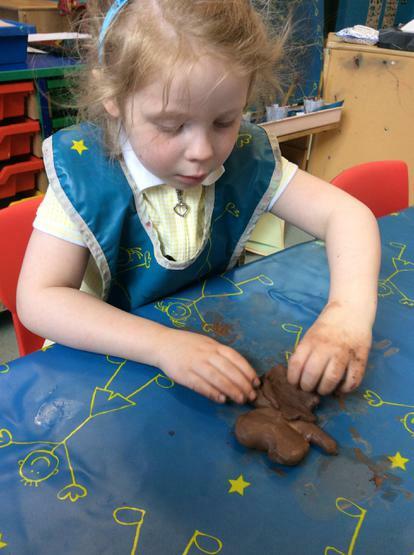 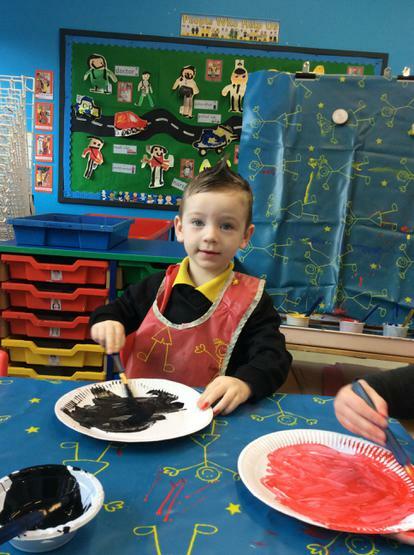 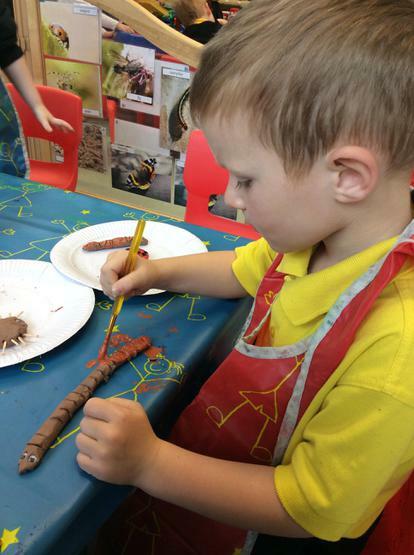 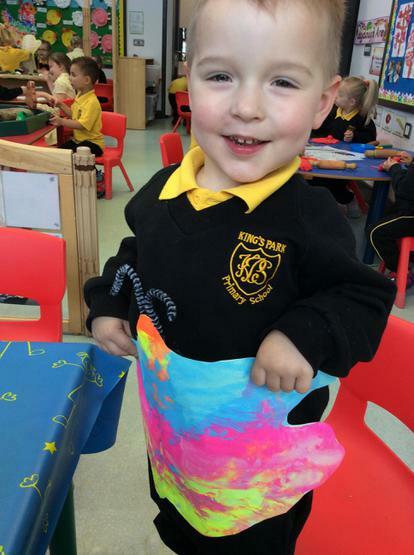 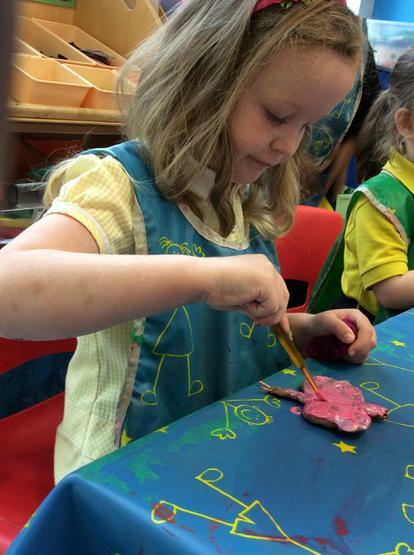 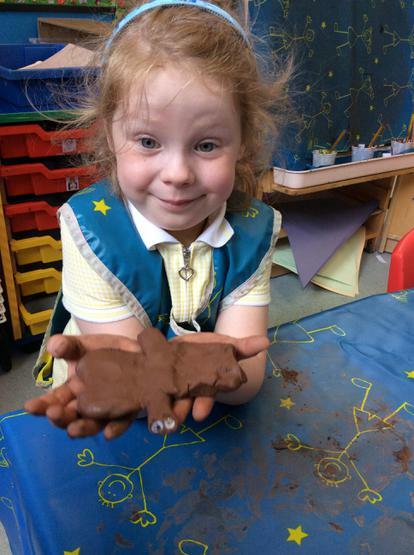 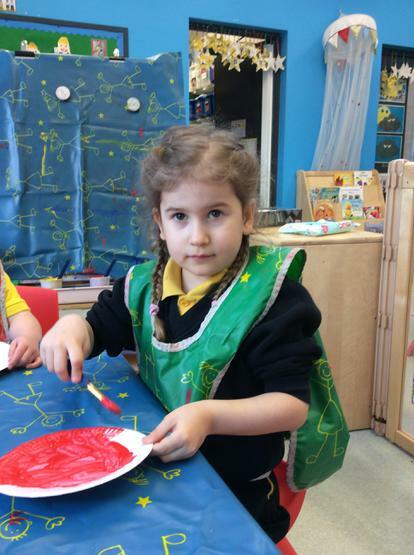 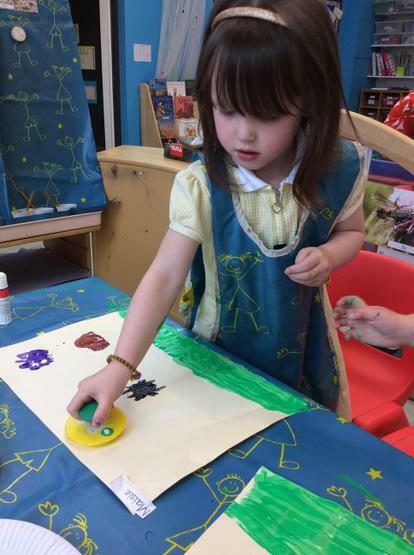 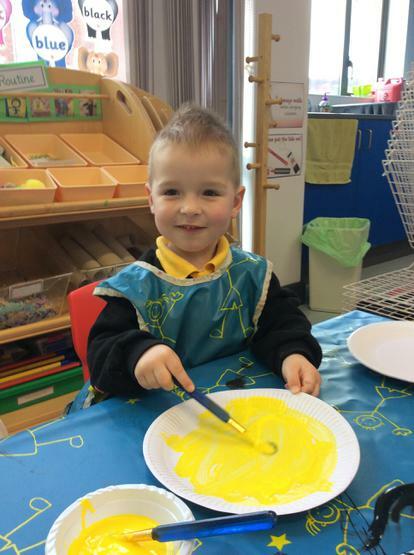 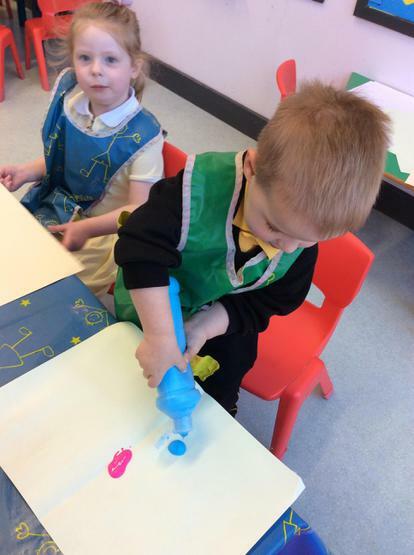 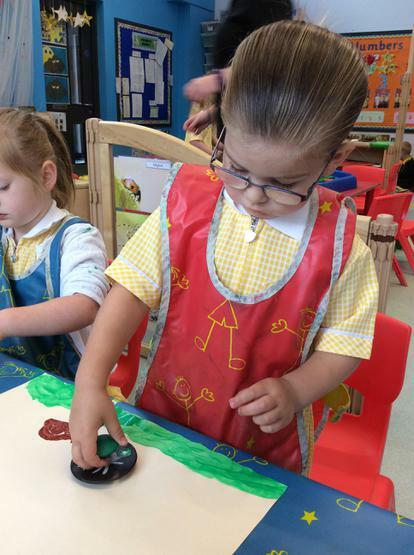 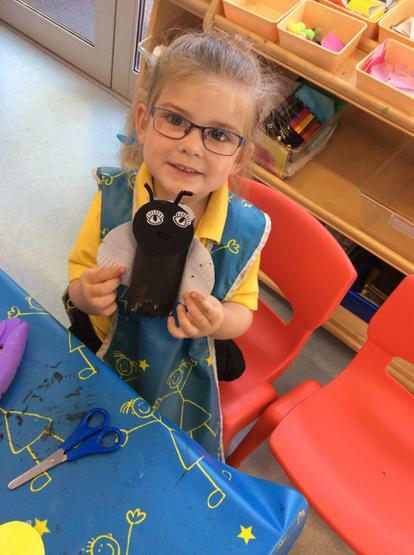 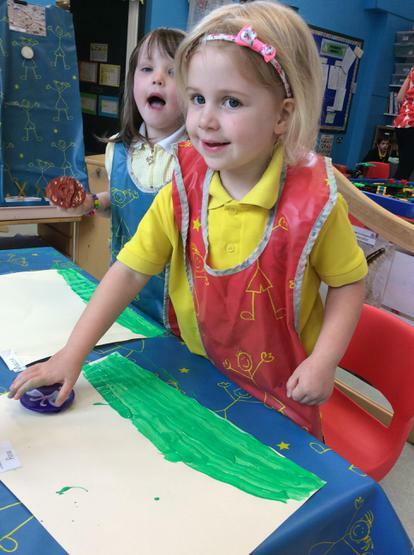 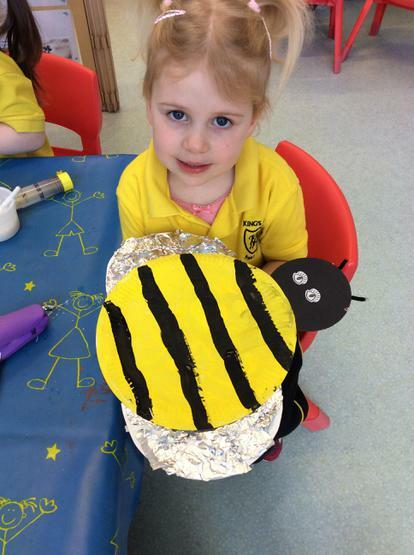 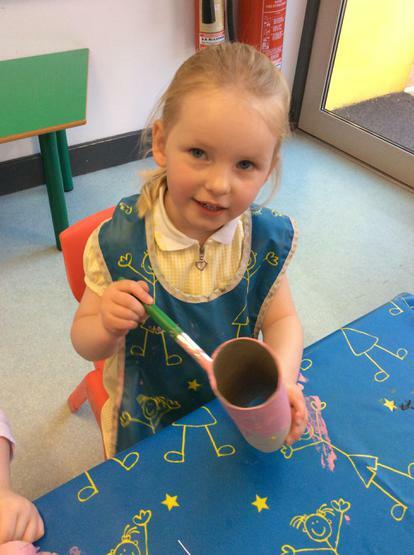 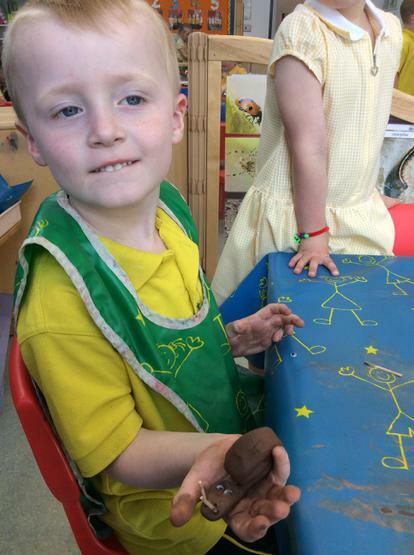 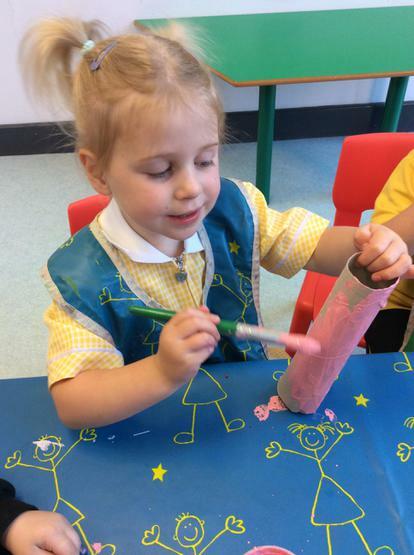 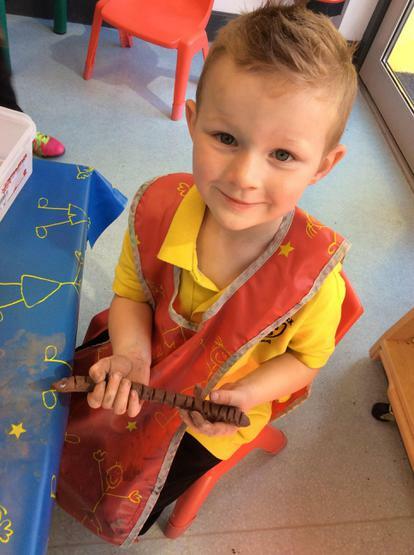 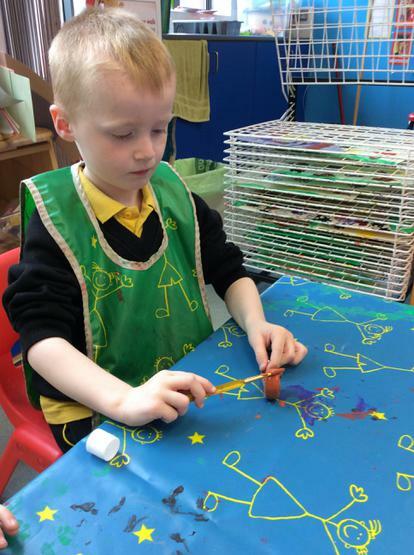 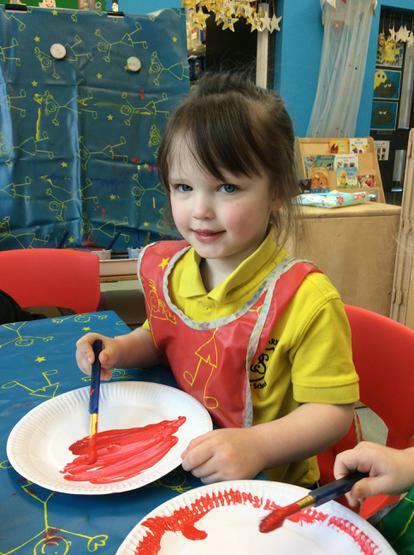 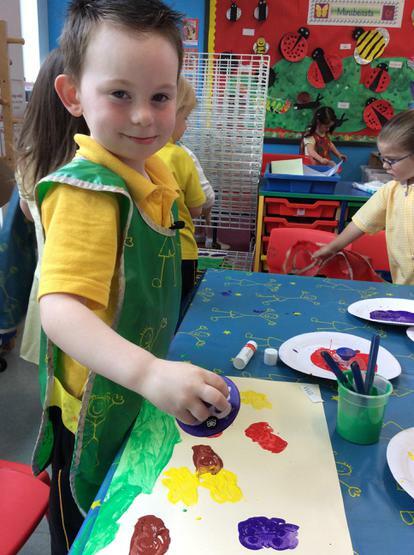 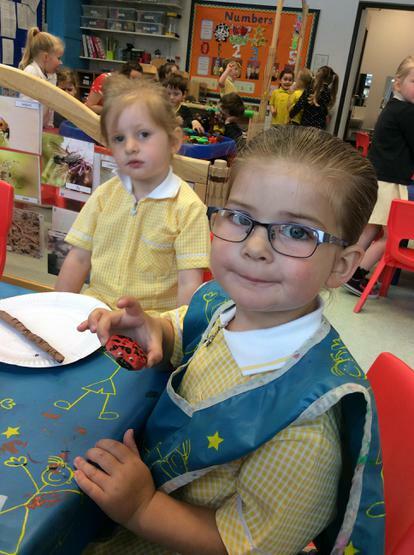 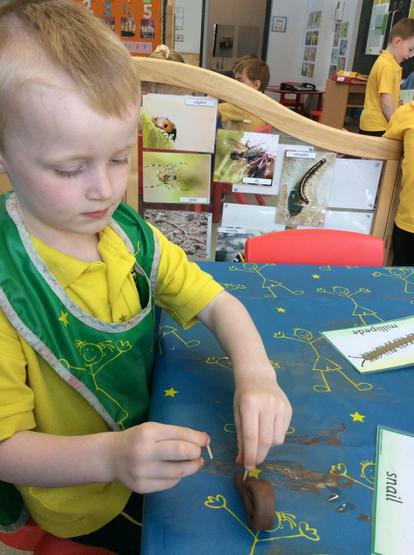 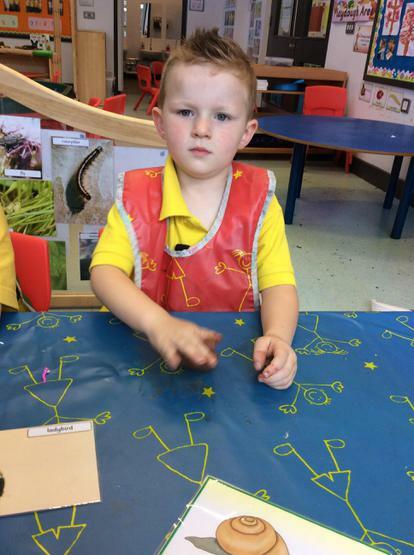 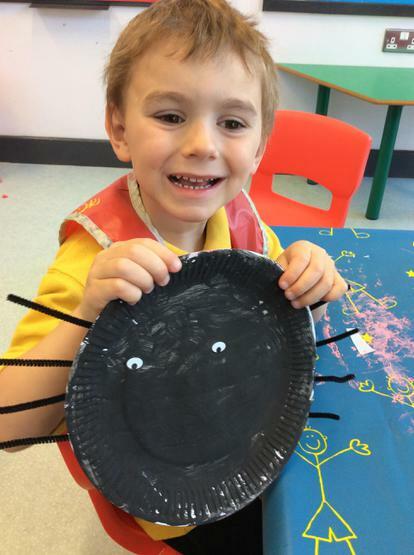 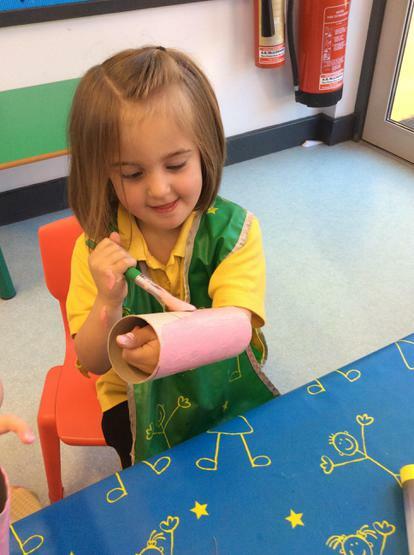 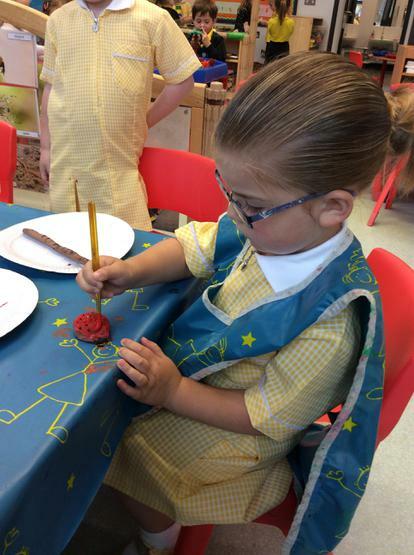 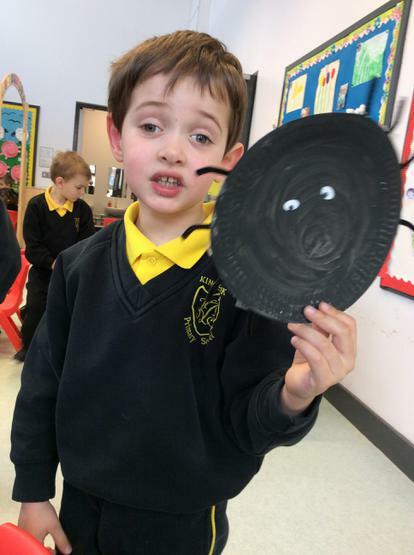 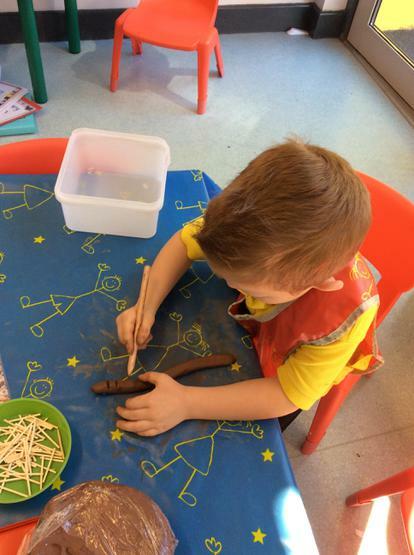 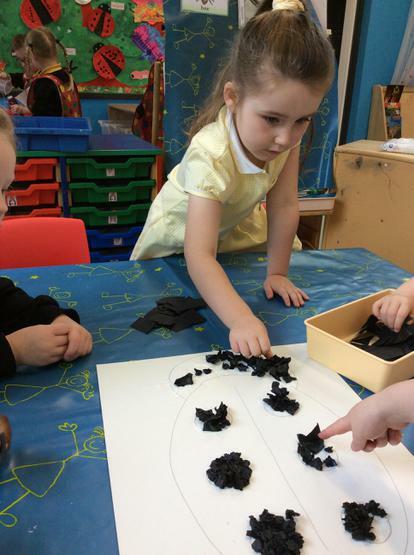 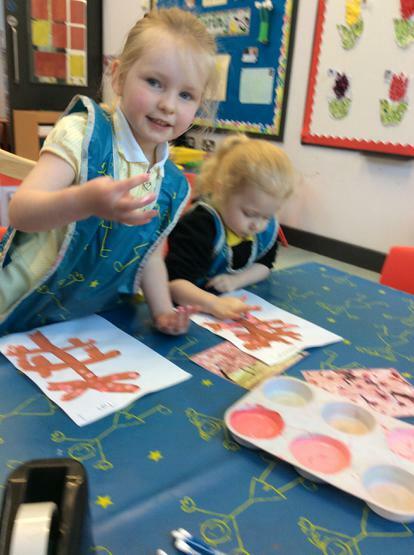 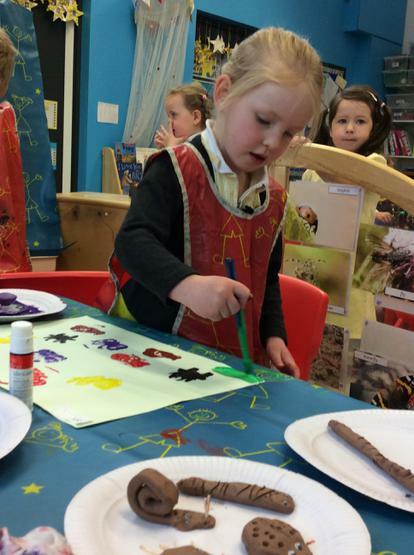 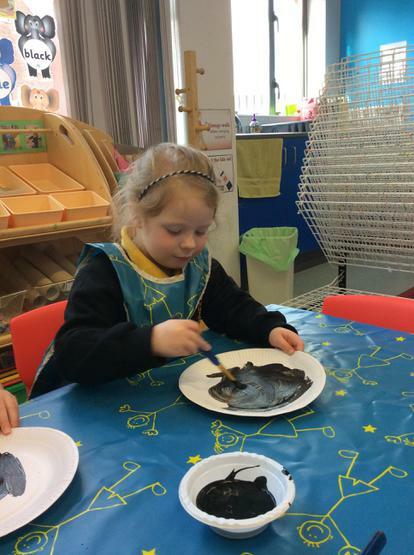 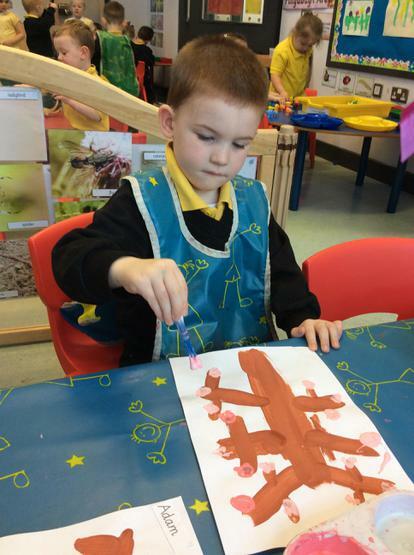 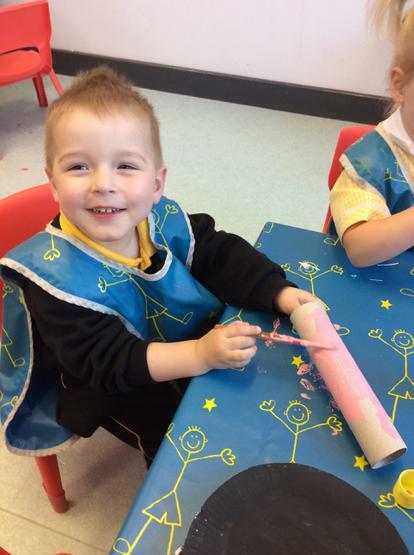 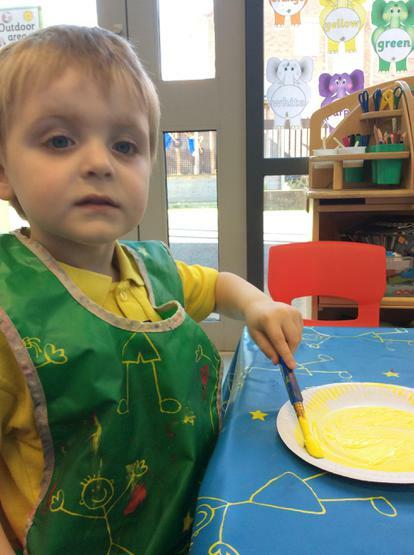 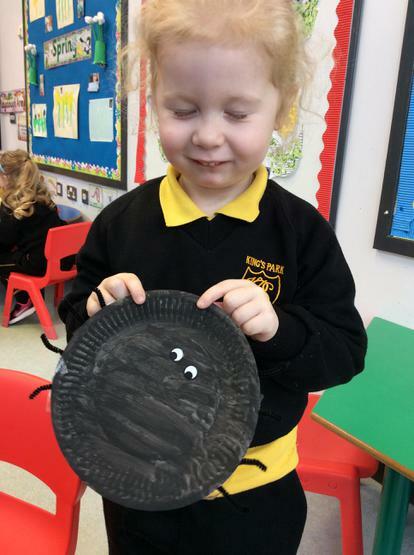 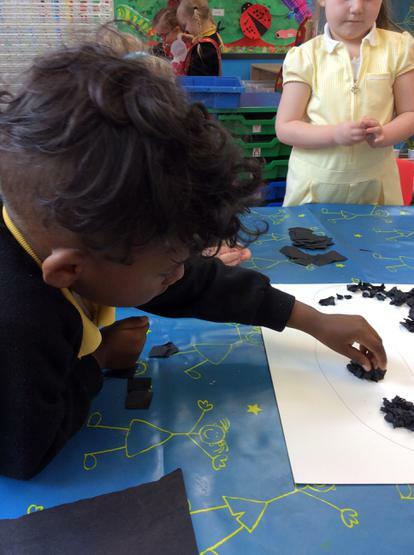 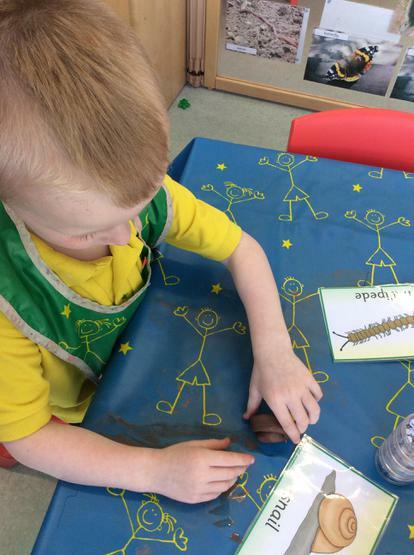 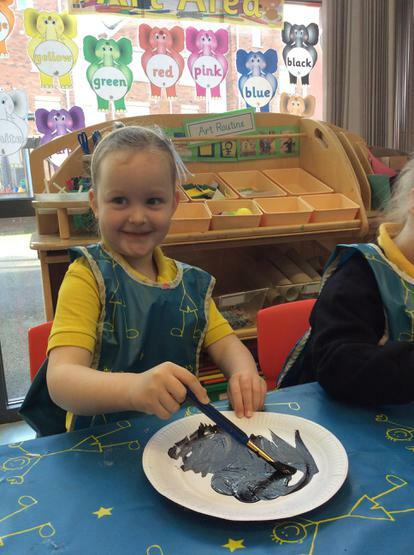 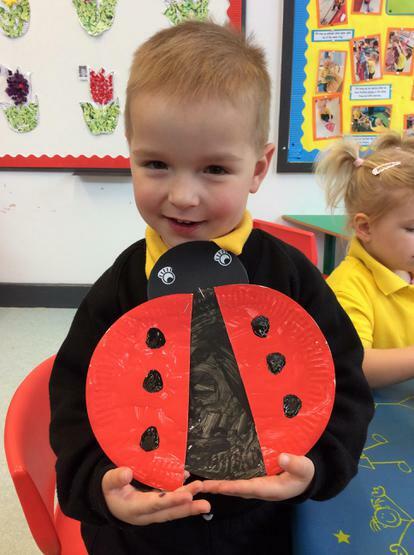 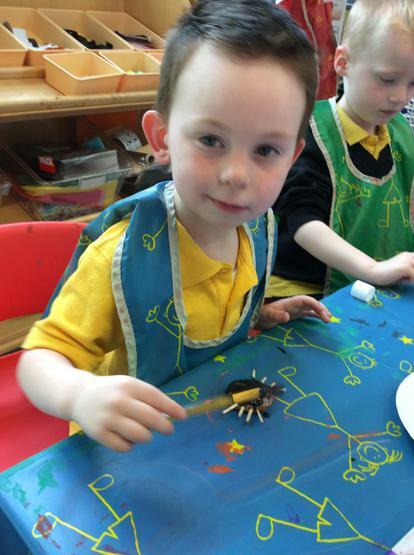 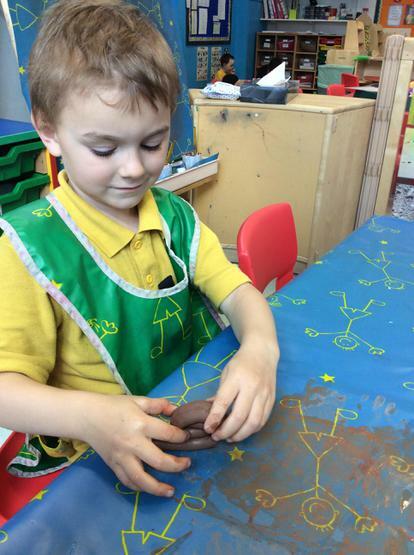 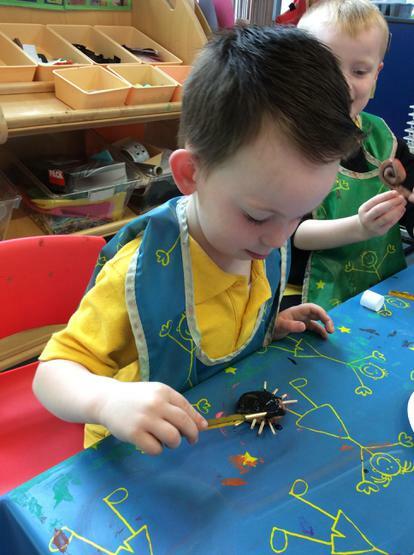 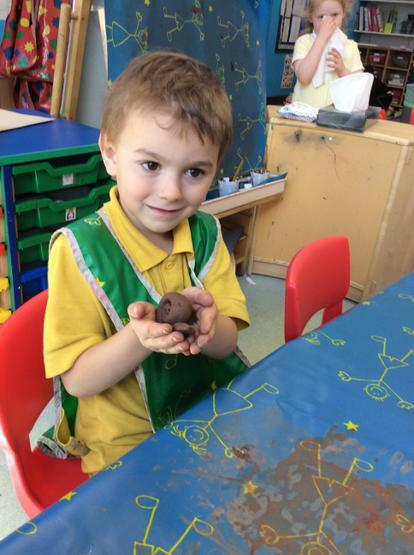 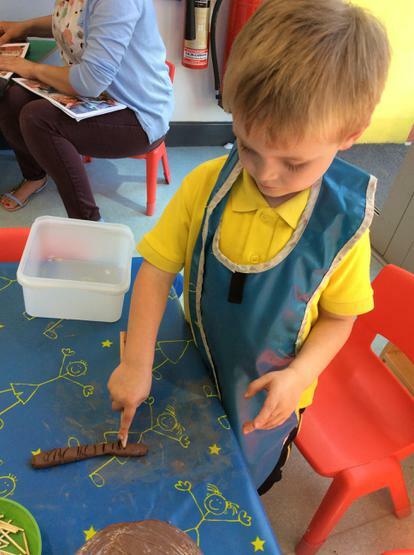 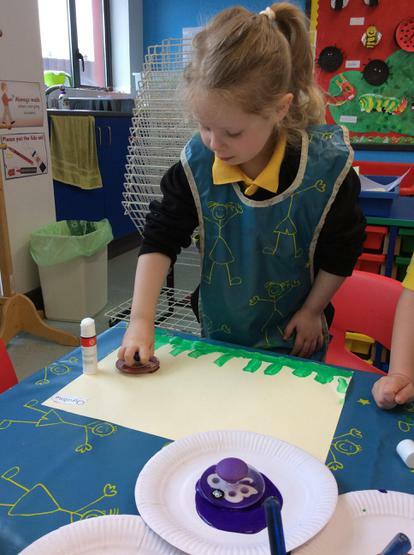 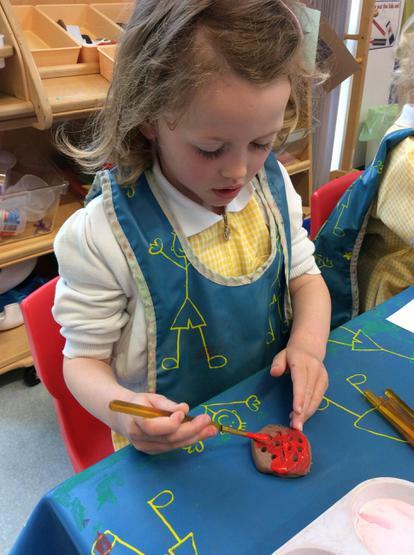 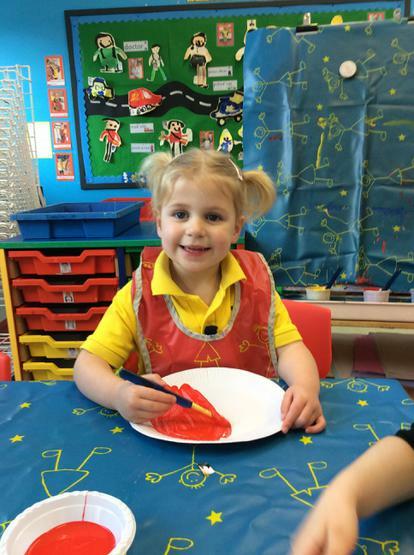 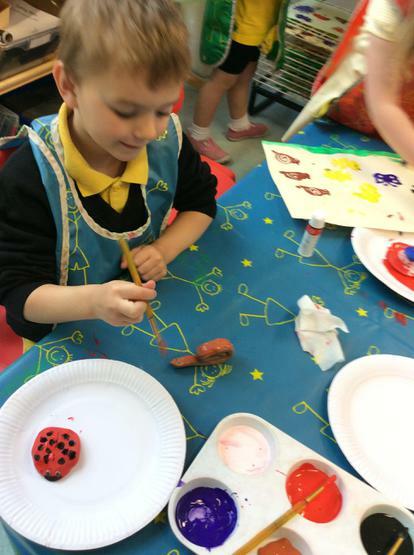 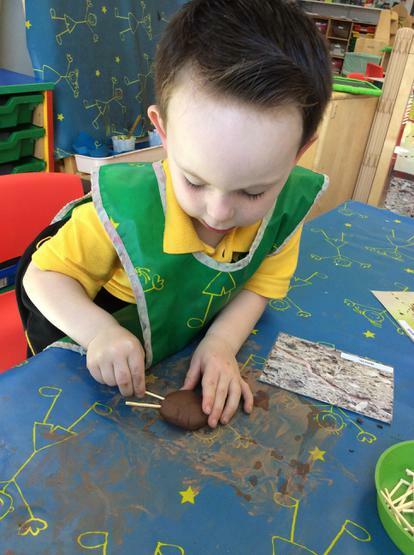 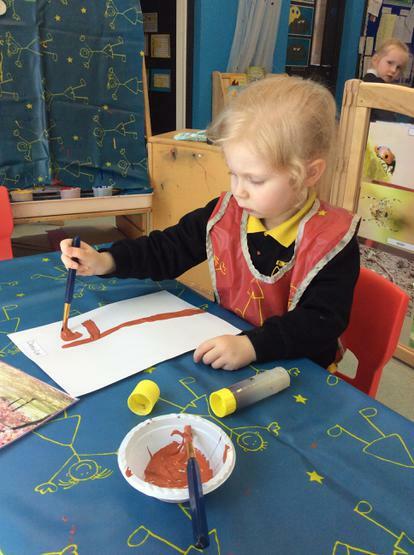 We have been having fun getting our hands messy with clay to make minibeasts! 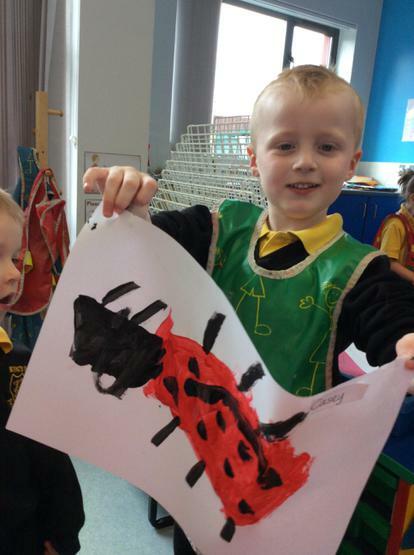 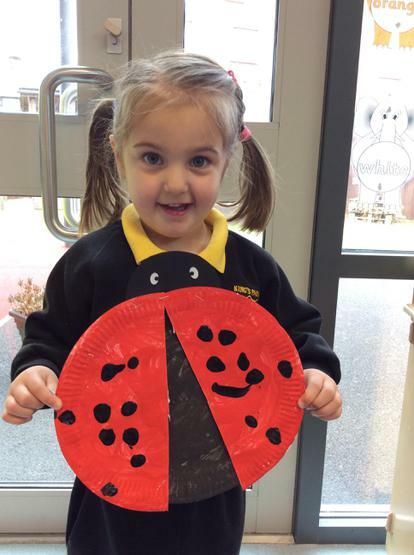 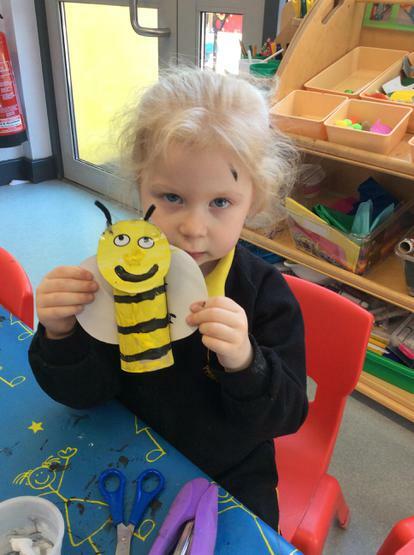 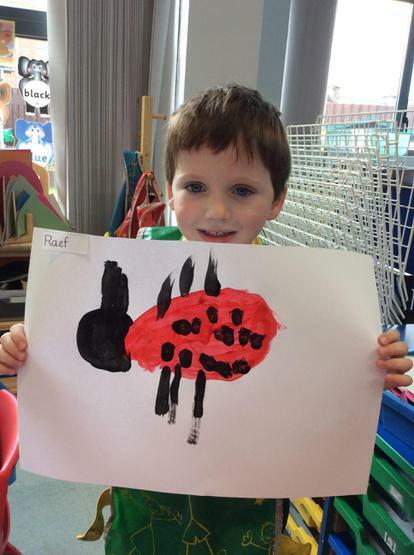 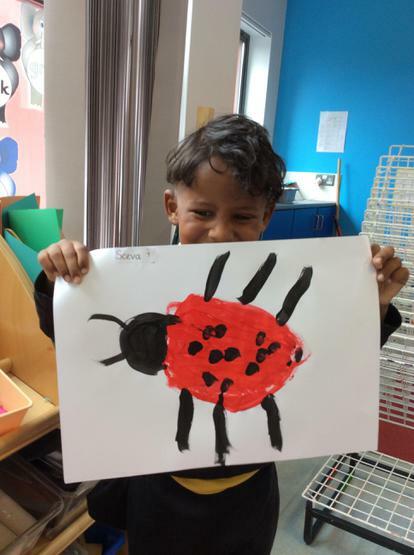 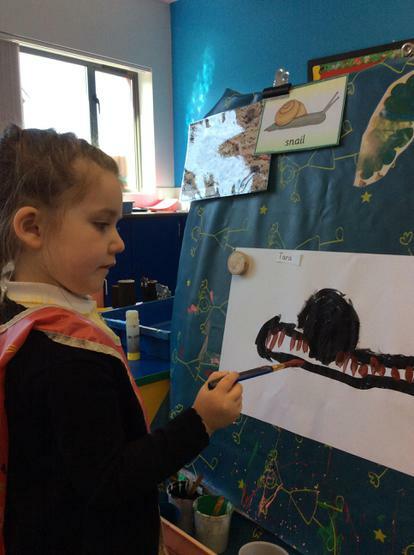 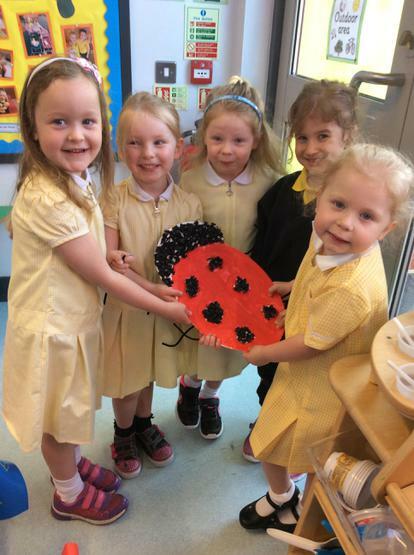 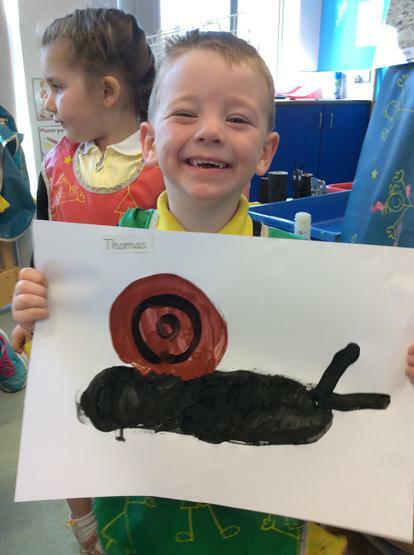 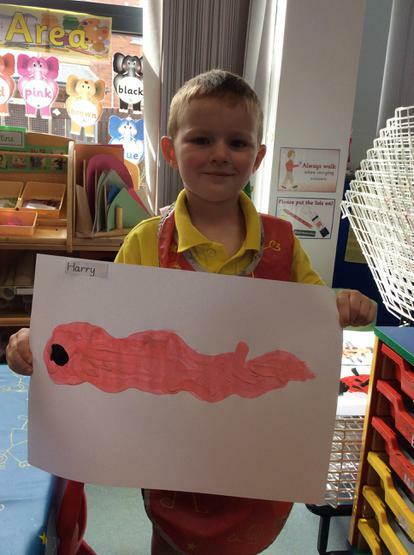 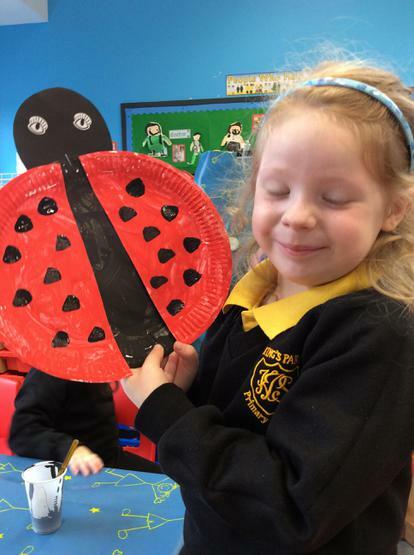 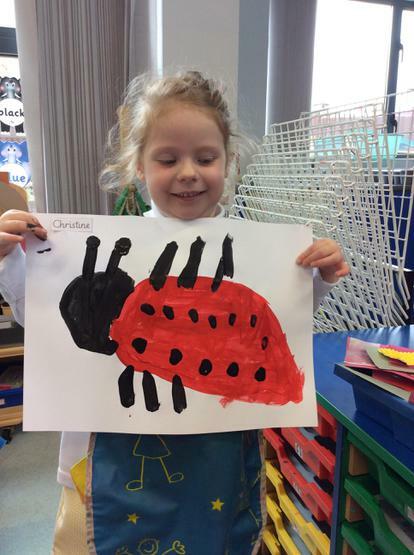 We enjoyed working together to make two ladybird collages! 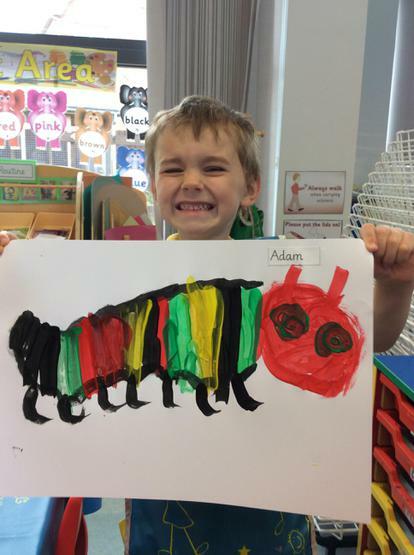 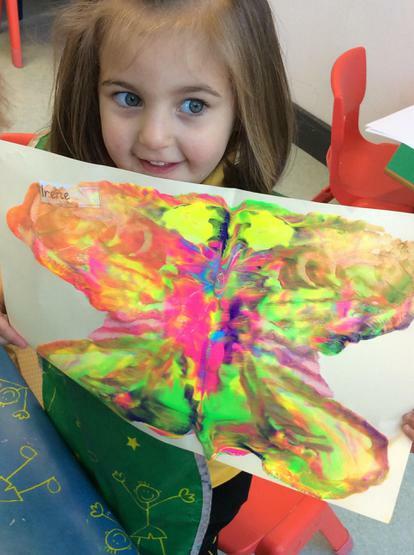 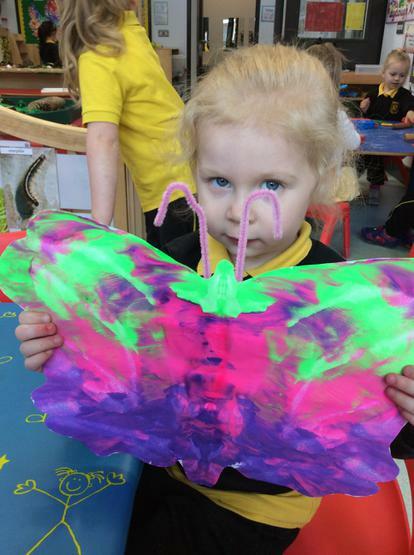 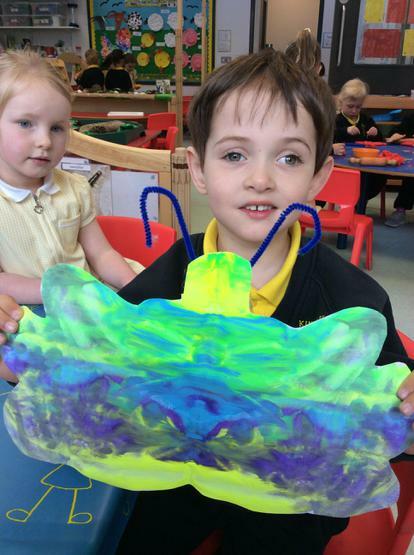 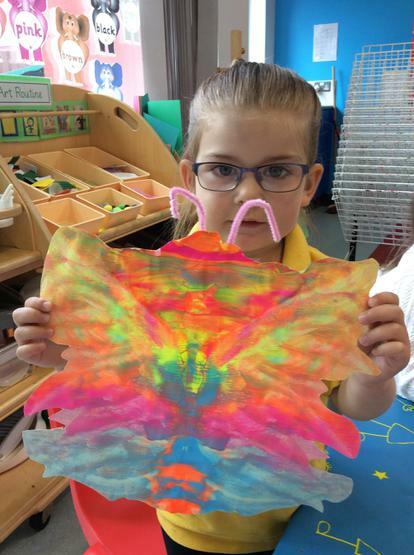 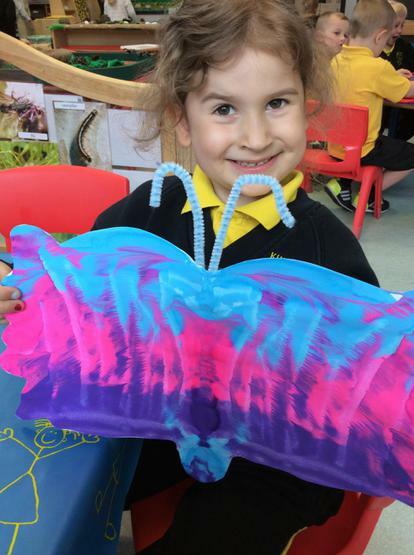 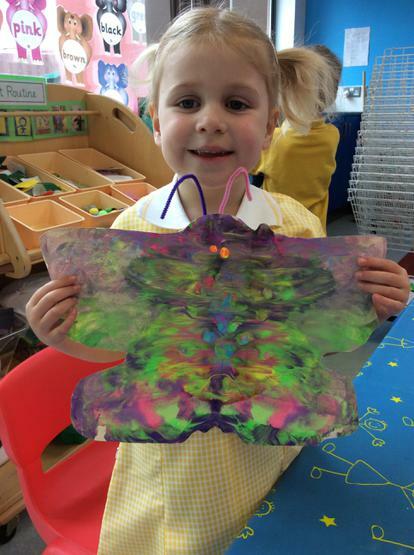 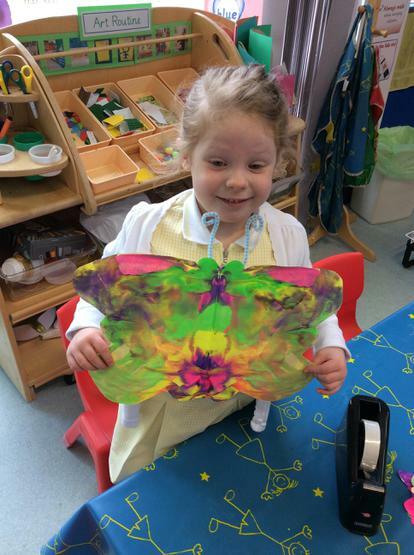 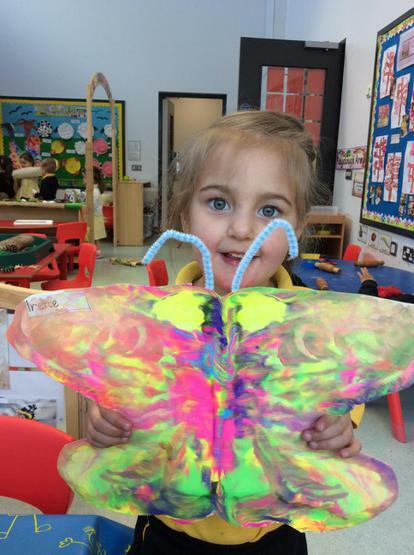 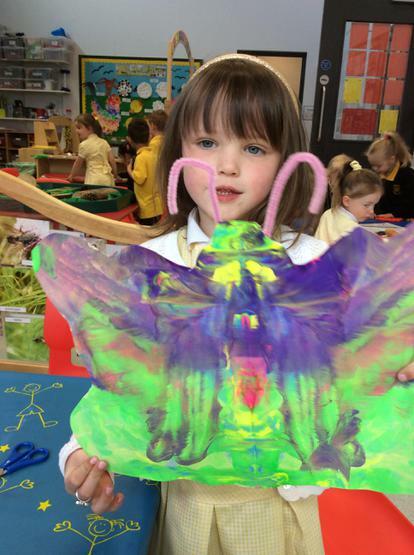 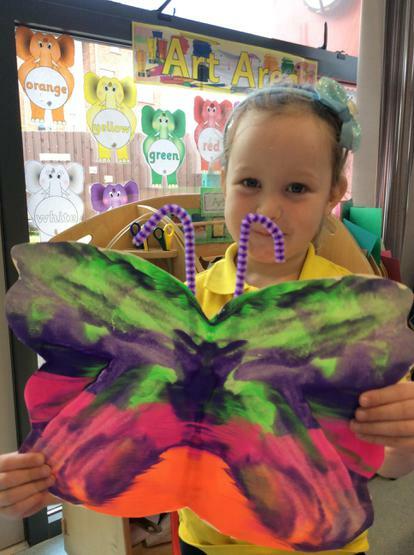 We made colourful symmetrical butterflies! 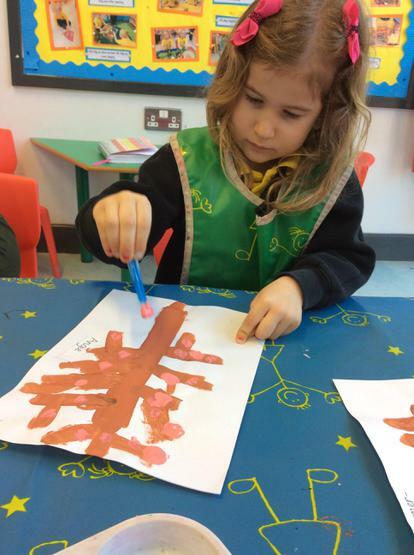 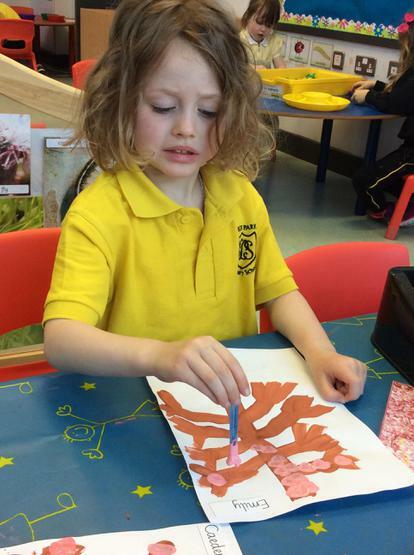 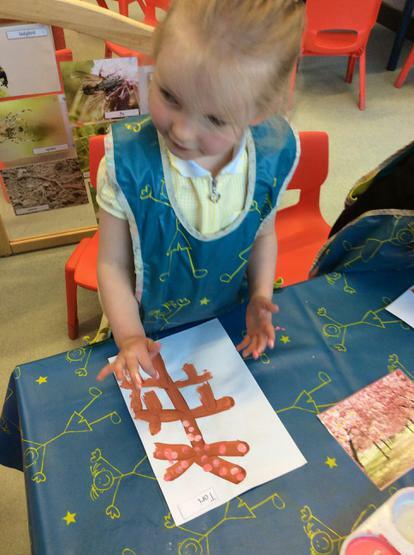 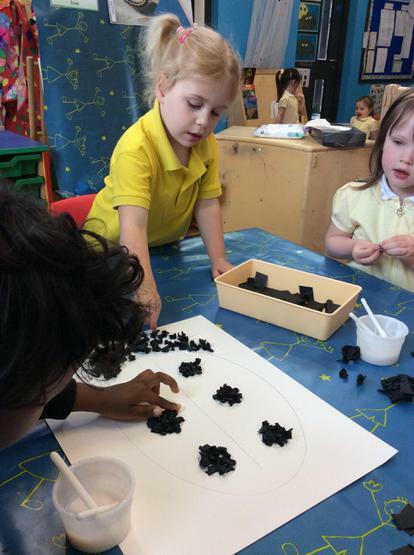 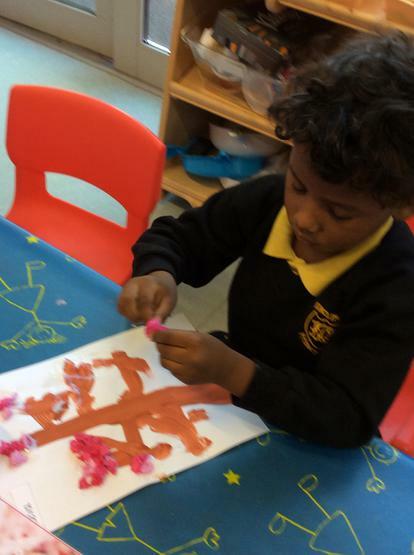 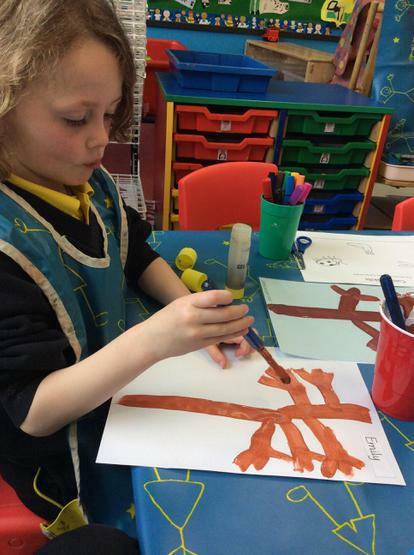 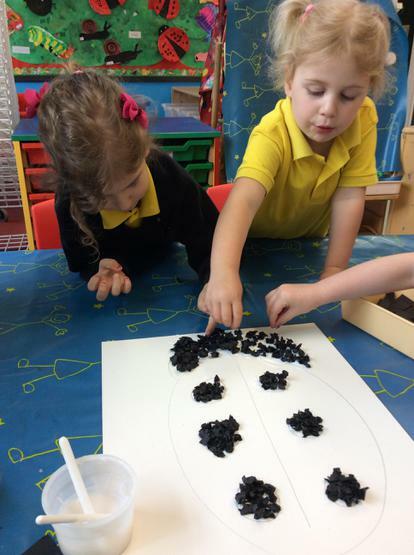 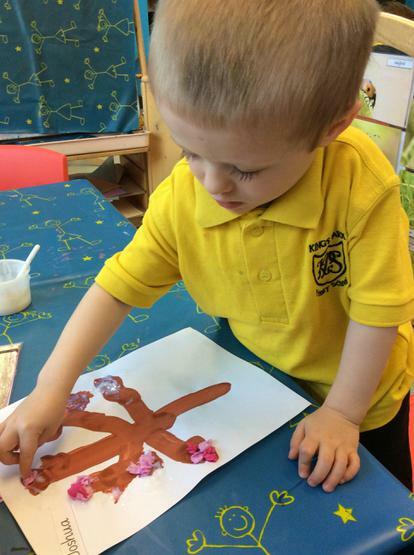 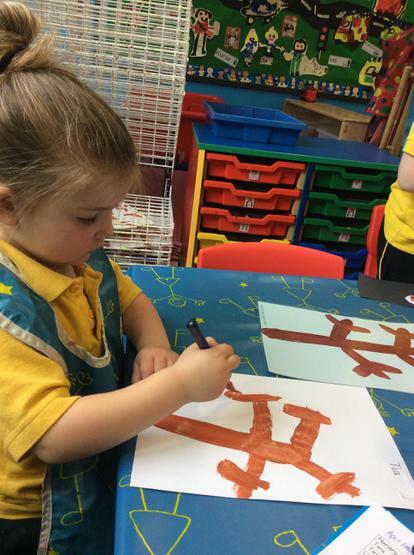 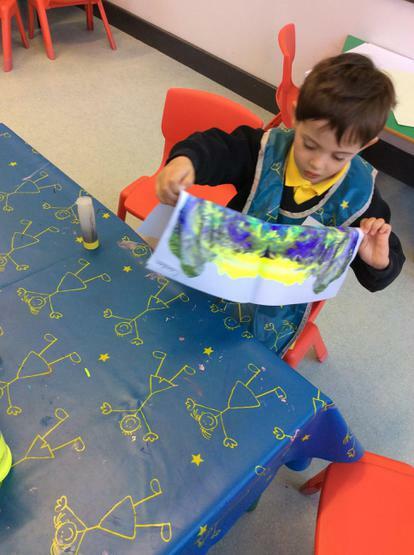 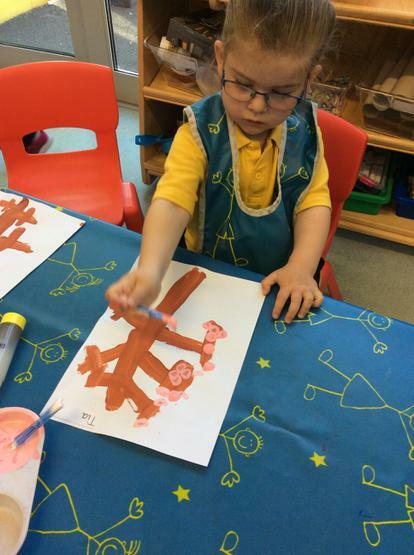 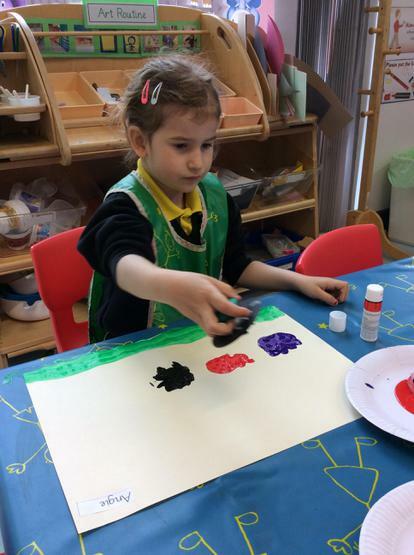 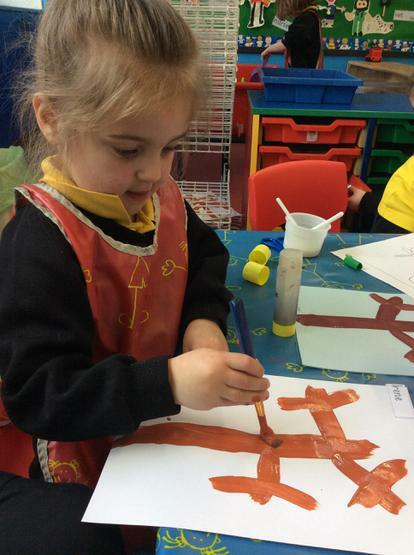 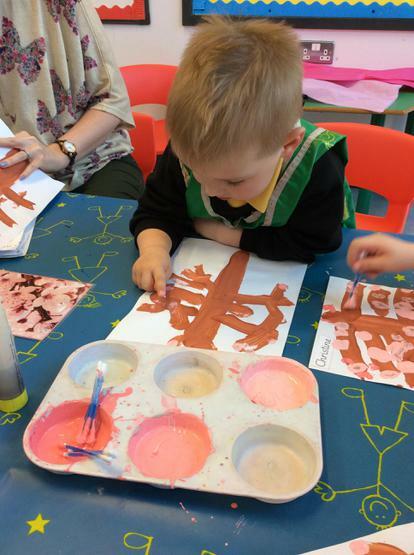 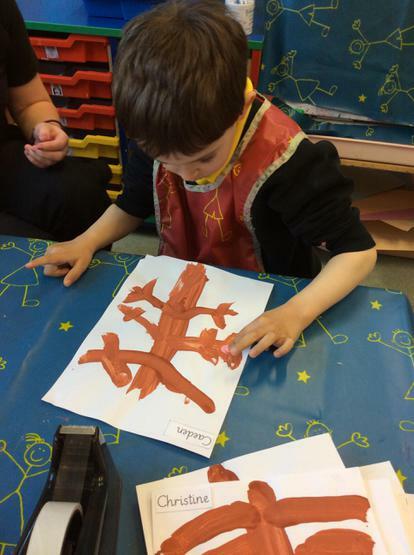 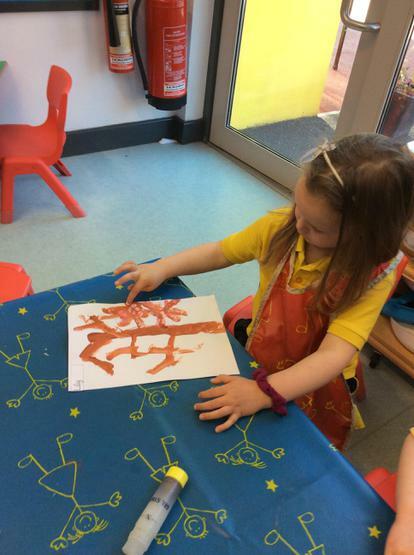 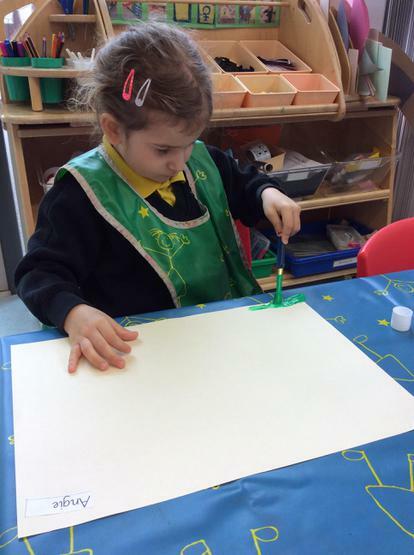 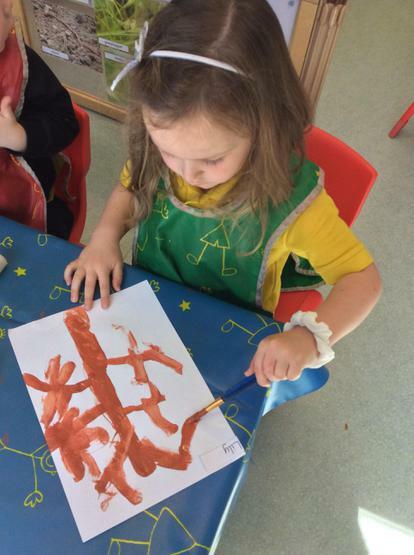 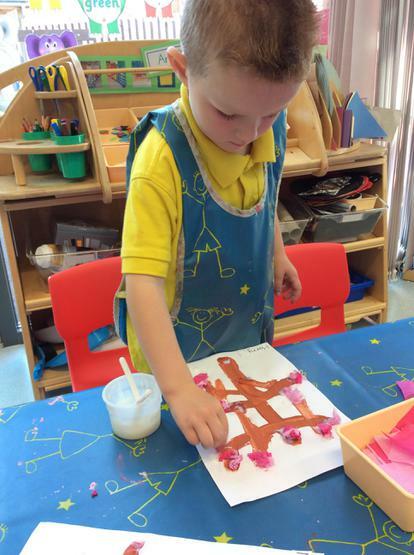 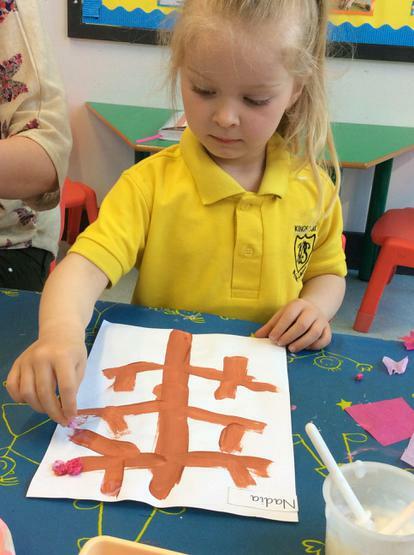 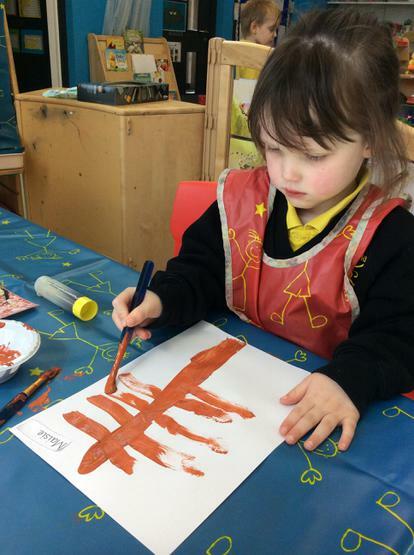 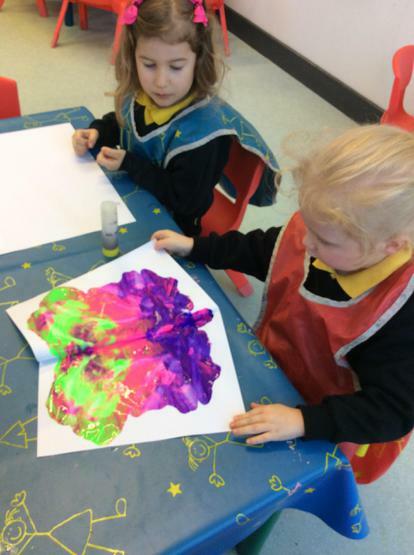 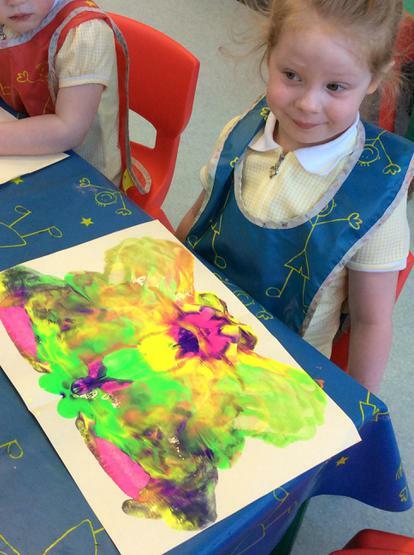 Making beautiful cherry blossom trees!